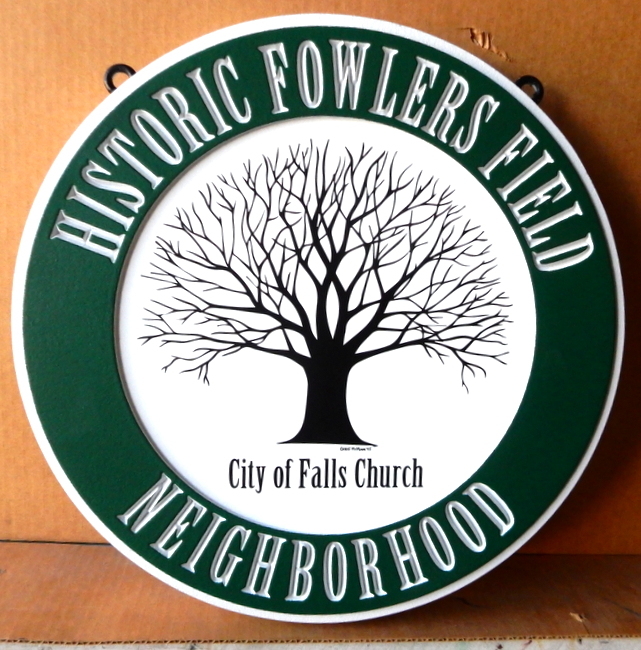 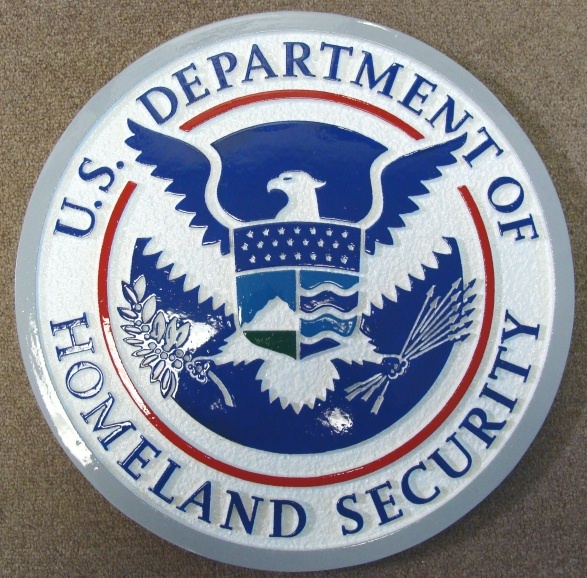 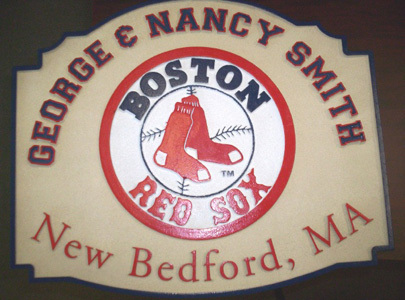 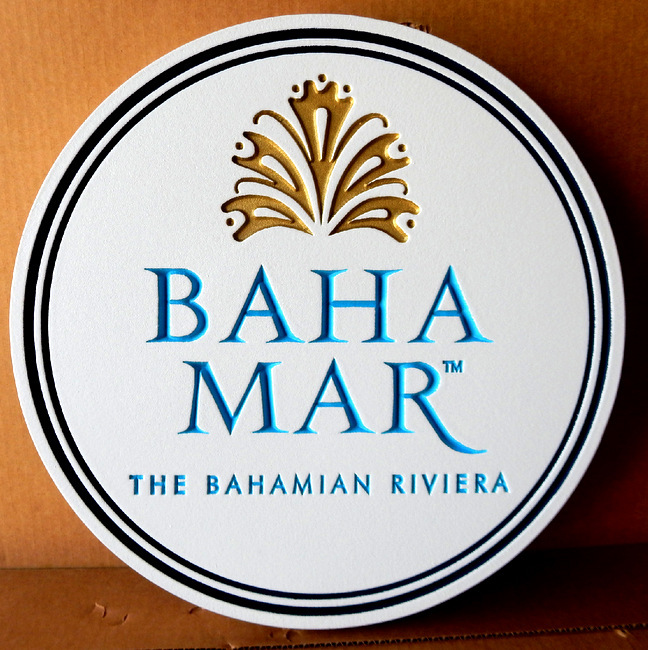 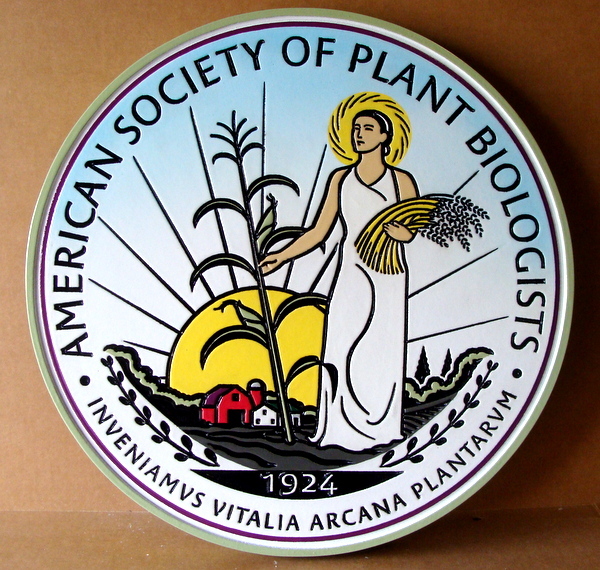 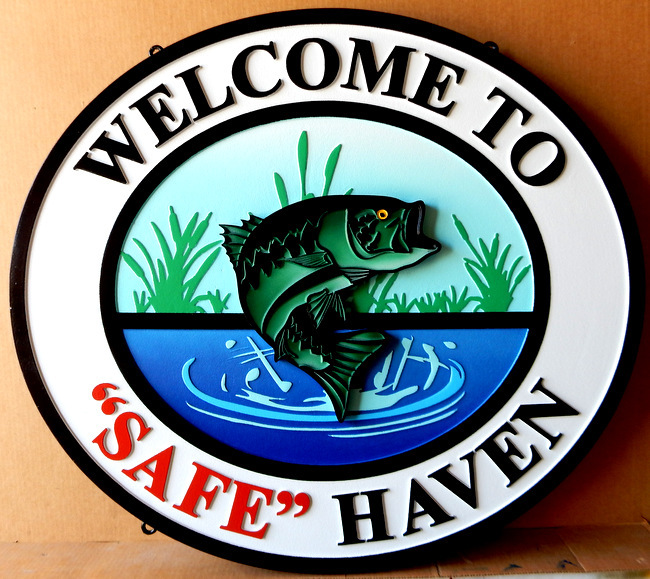 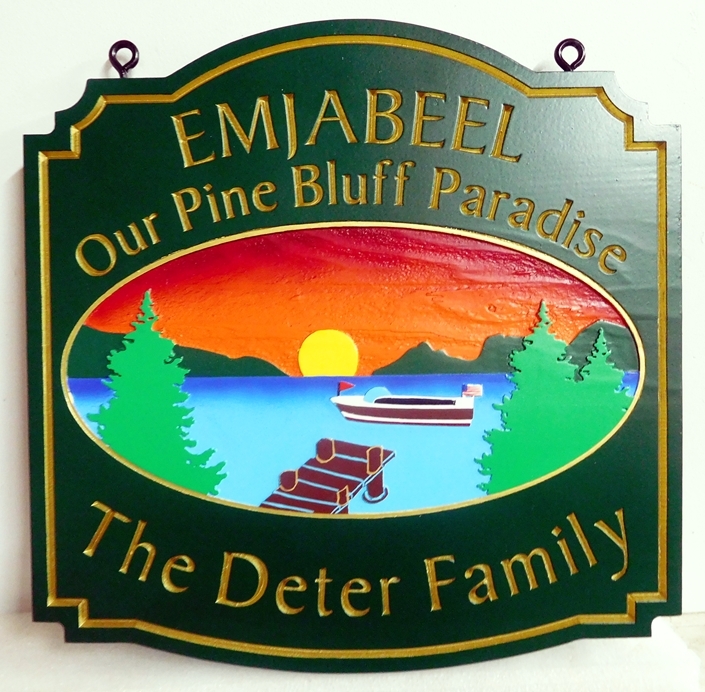 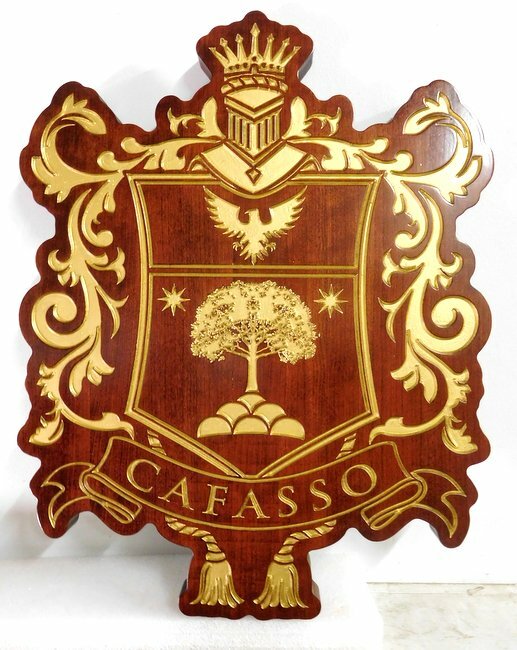 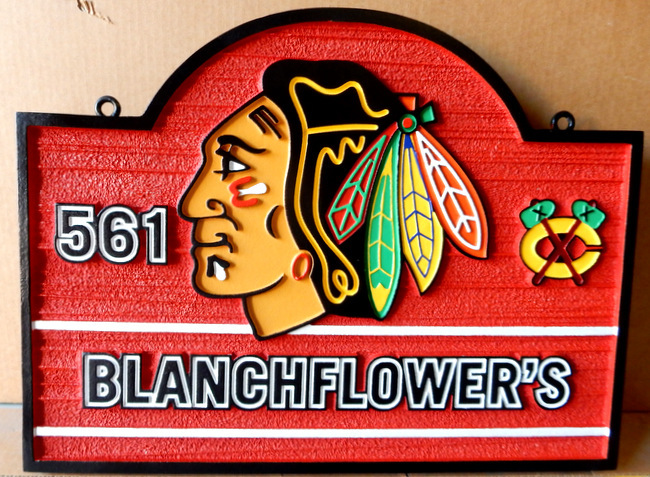 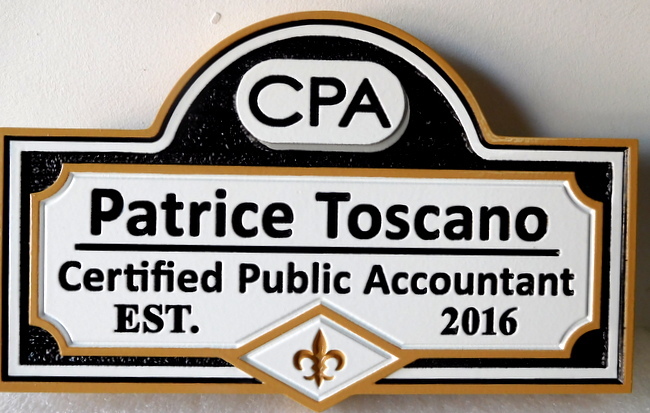 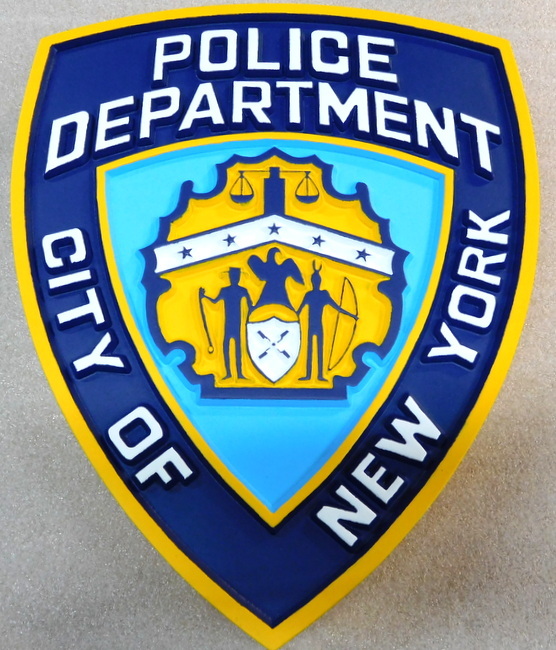 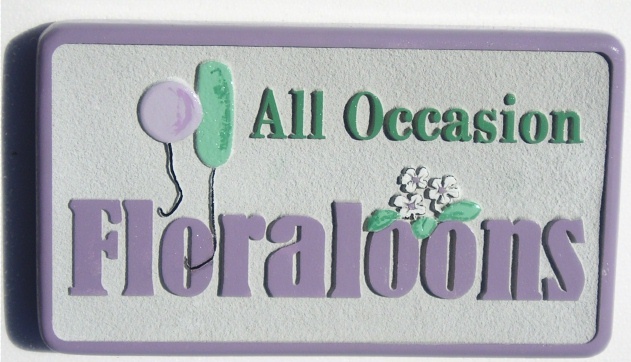 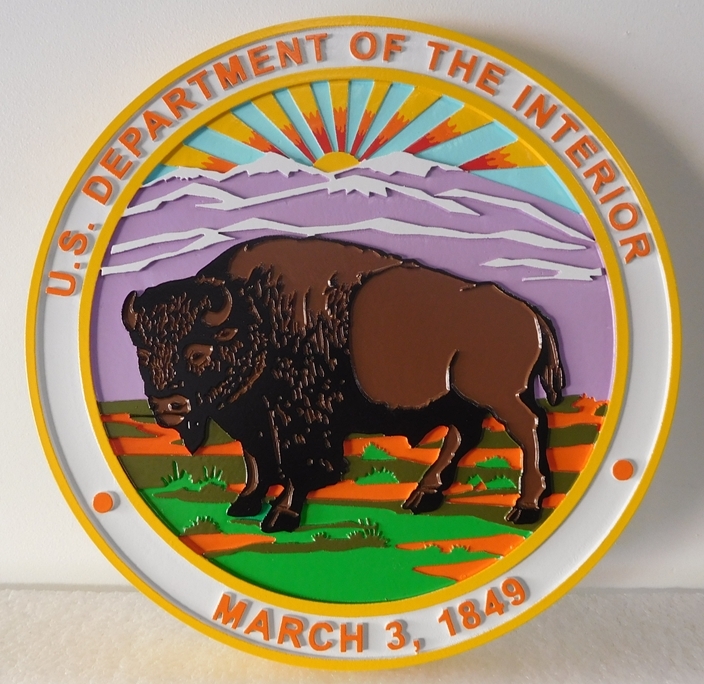 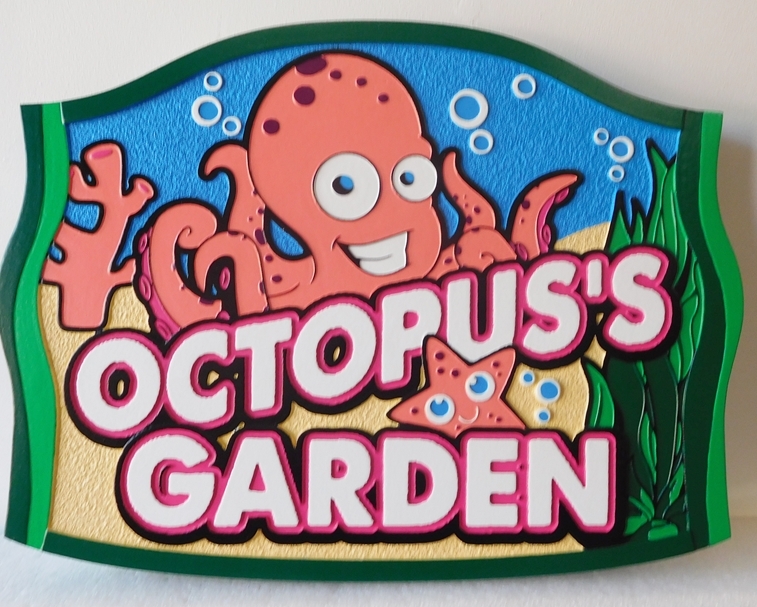 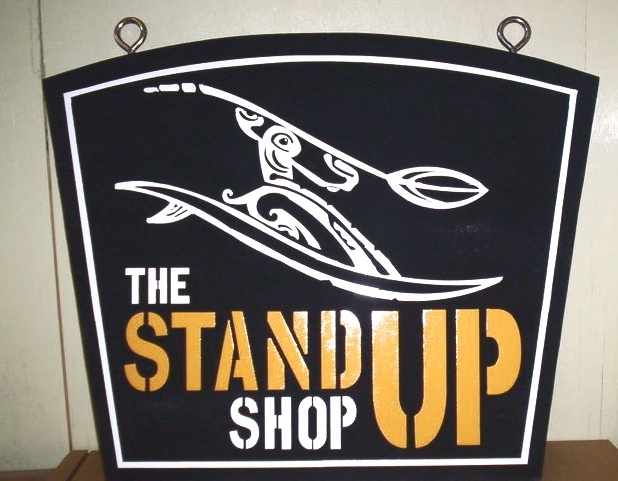 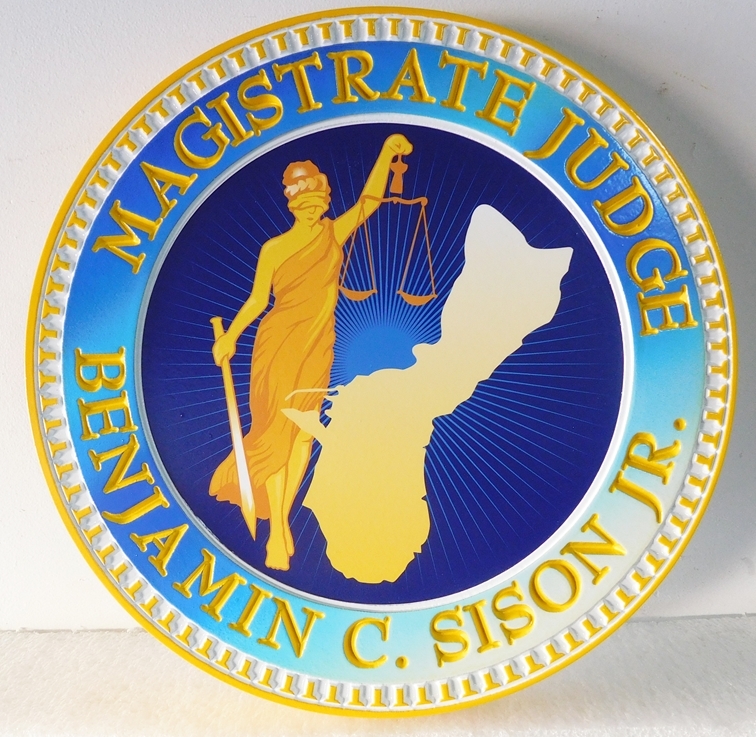 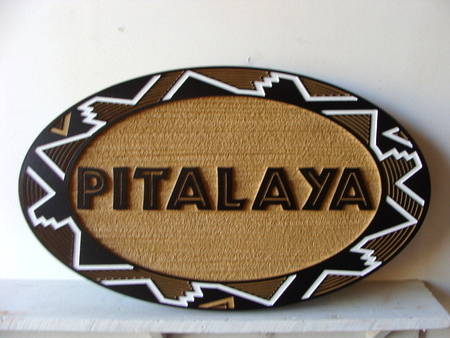 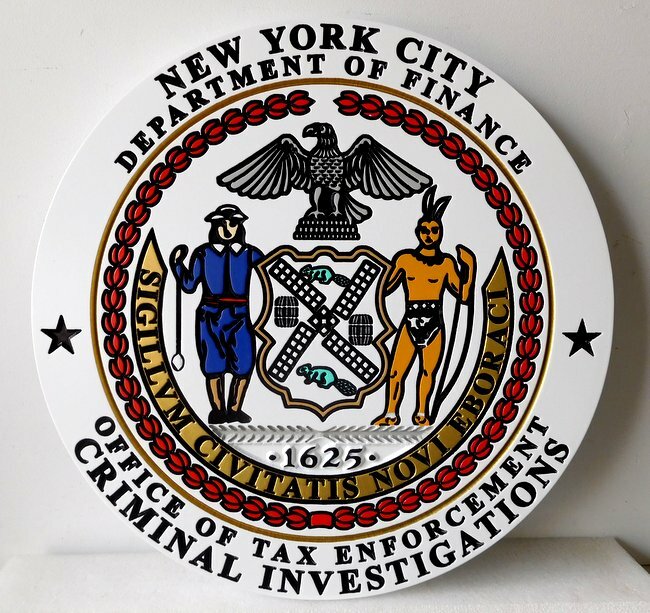 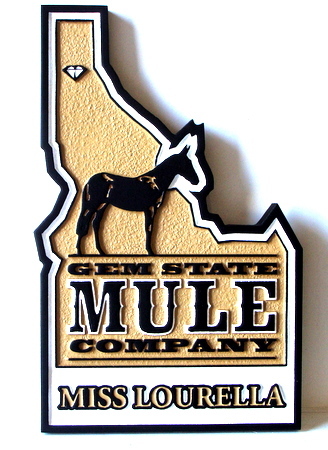 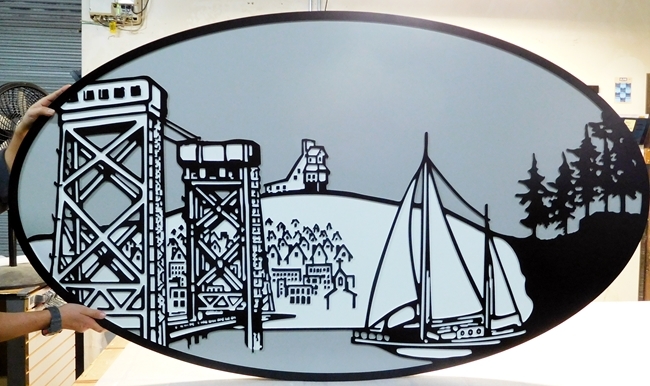 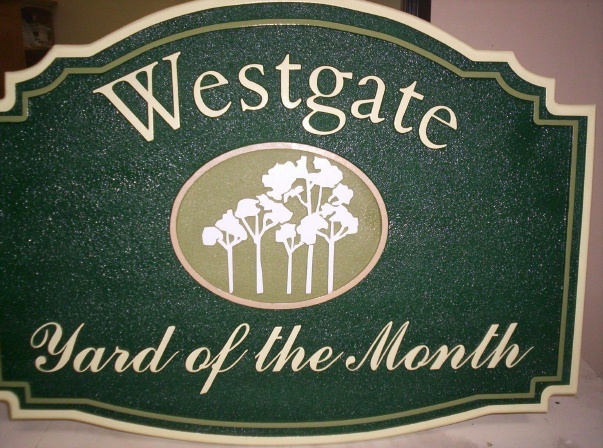 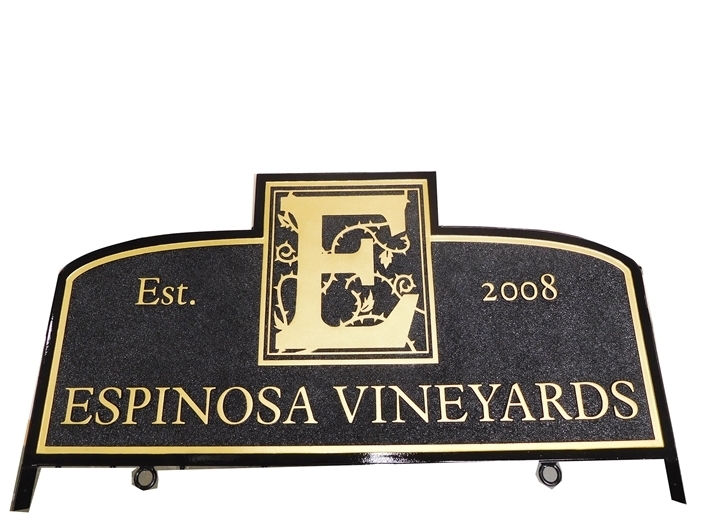 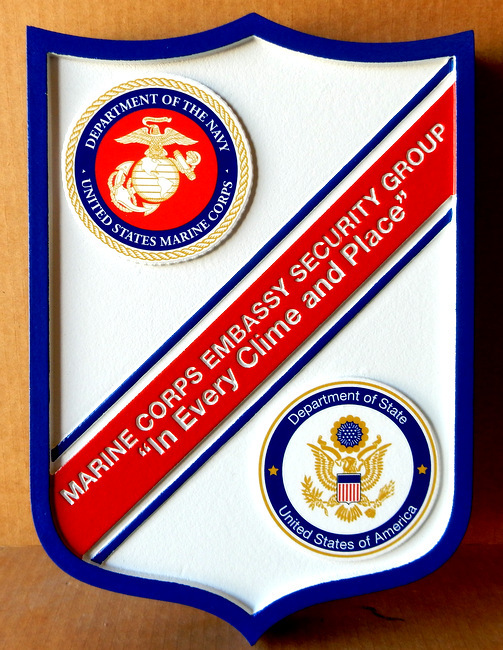 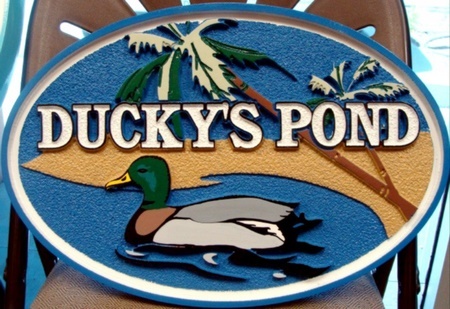 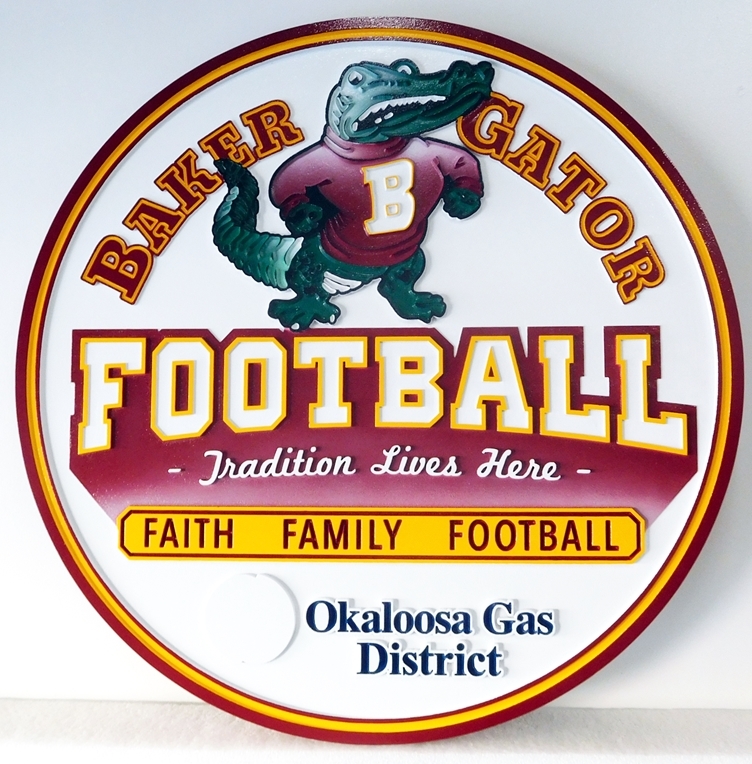 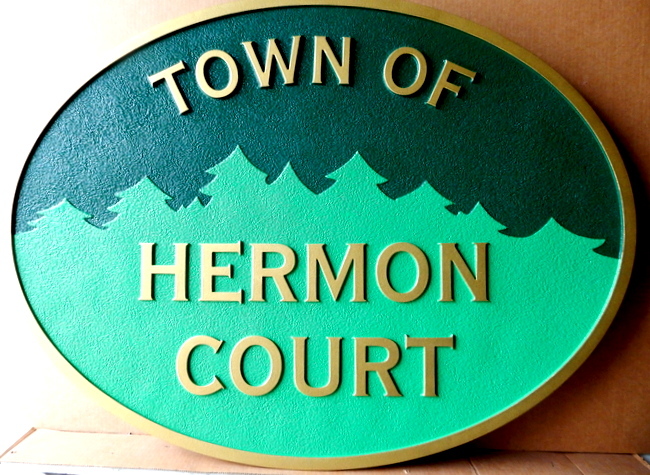 Welcome to our photo Gallery 1 of examples of our carved and sandblasted 2 1/2 Dimensional (2.5-D) and engraved High-Density-Urethane (HDU) signs & plaques, referred to in this website as Product Line 1. 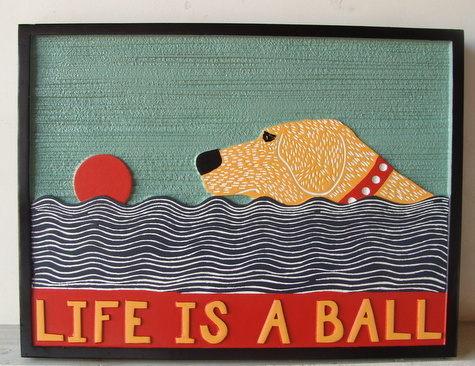 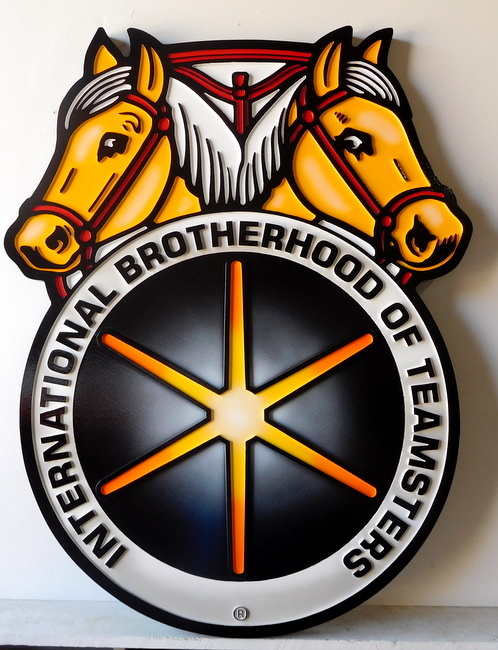 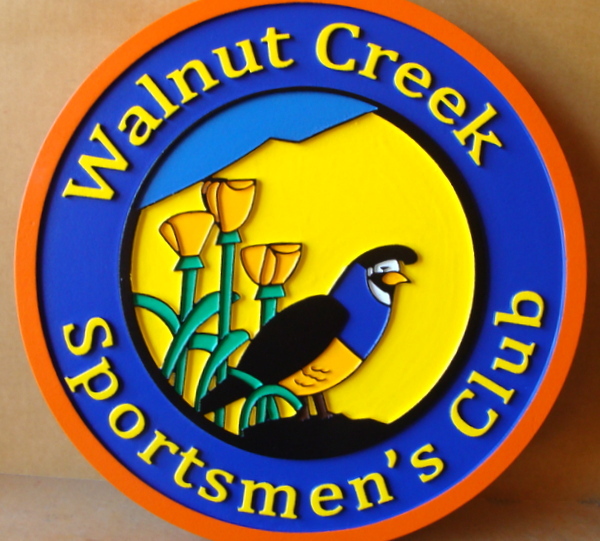 2.5-D signs differ from 3-D signs in that the artwork, borders and text have flat top surfaces, usually three to five levels of relief or elevation, whereas our 3-D signs have rounded or curved top surfaces, like bas-relief sculptures. 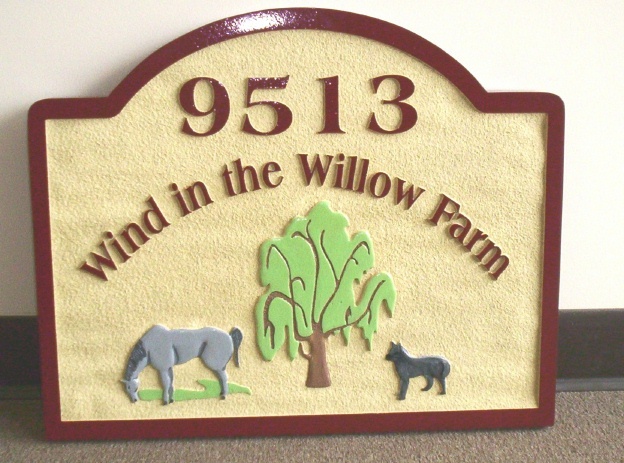 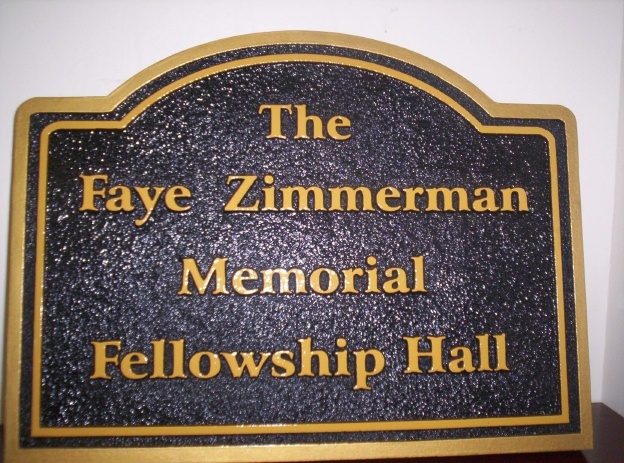 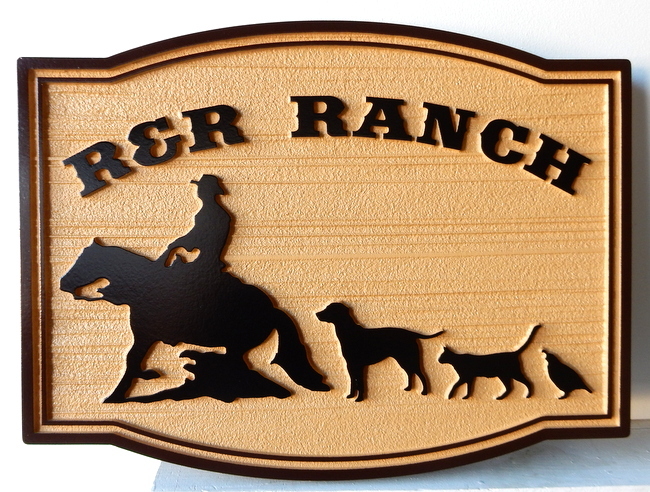 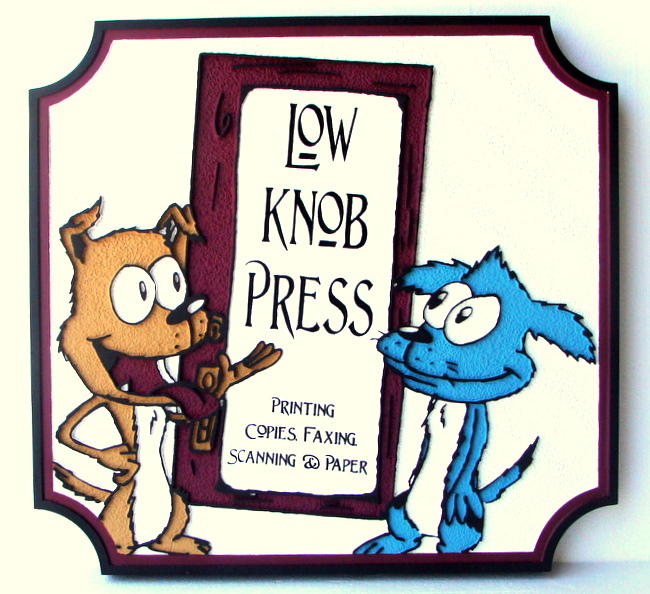 It is much faster and requires less work to design, carve and paint 2.5-D and engraved signs than 3-D signs, so they are less expensive, but they use exactly the same materials as our 3-D signs & plaques. 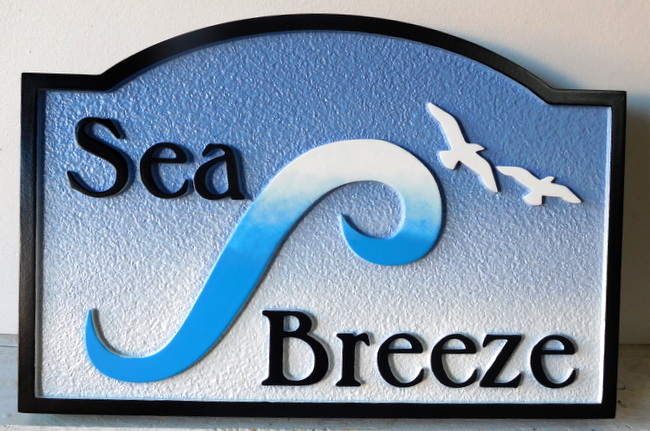 Our 2.5-D and engraved HDU signs are our least expensive dimensional signs (about 30% to 45% less expensive than 3-D HDU or wood signs), but they can be very beautiful, elegant and striking, as the 150 photos in this Gallery show. 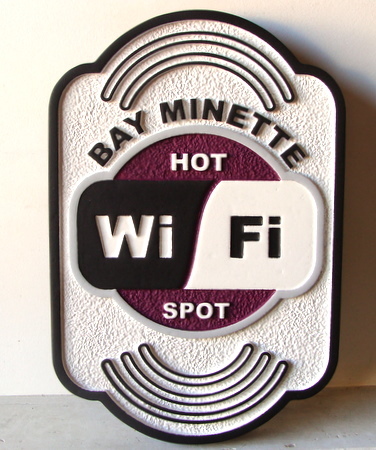 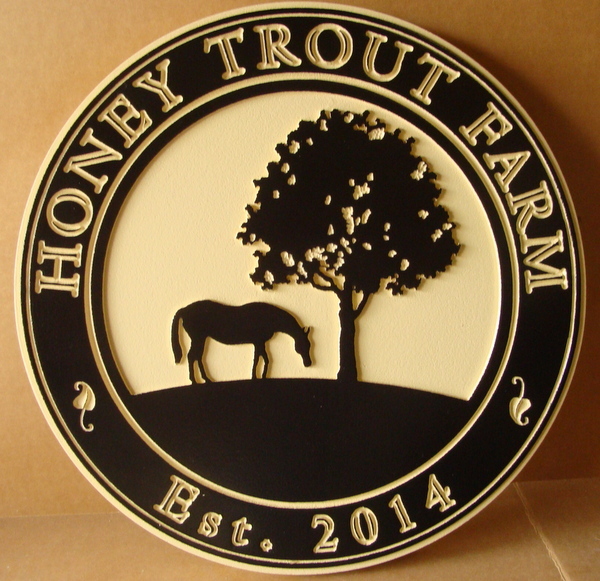 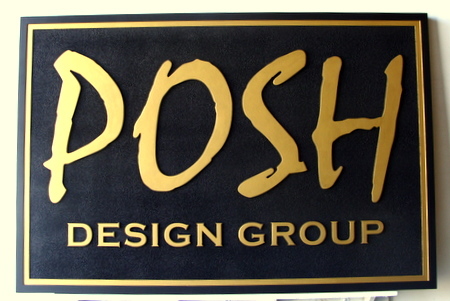 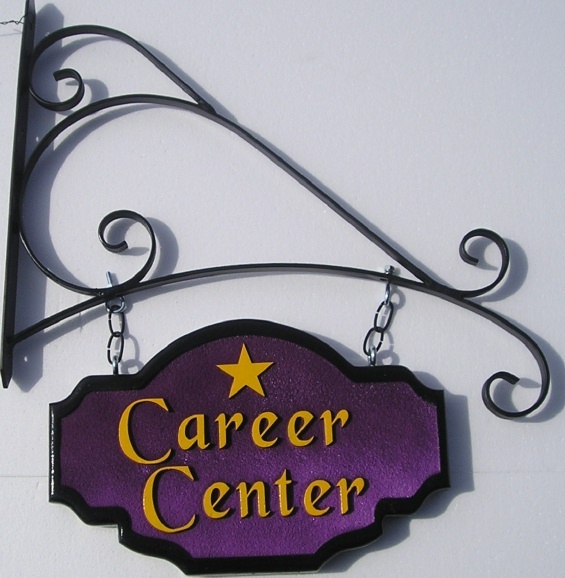 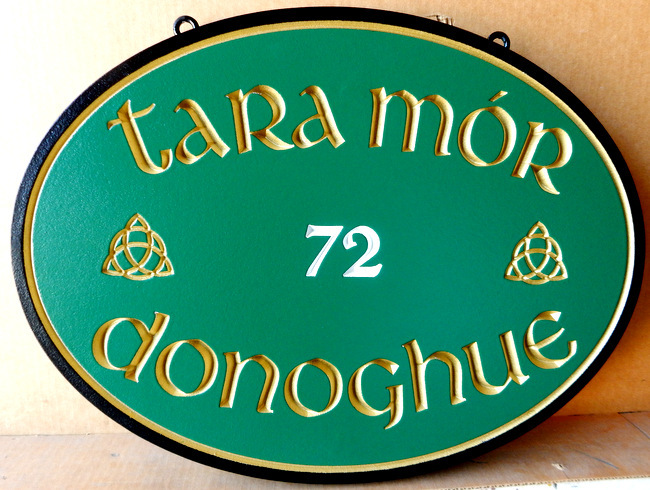 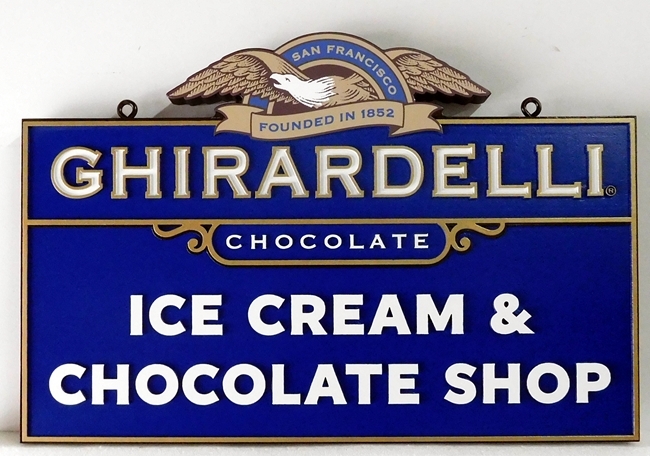 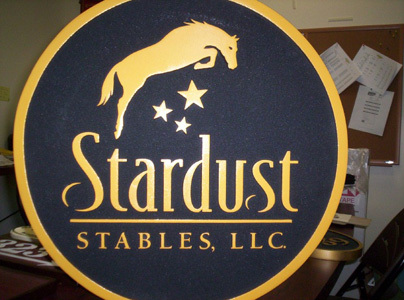 Over 70% of the signs and plaques we sell are 2.5-D HDU signs, the rest being wood or 3-D HDU signs or plaques. 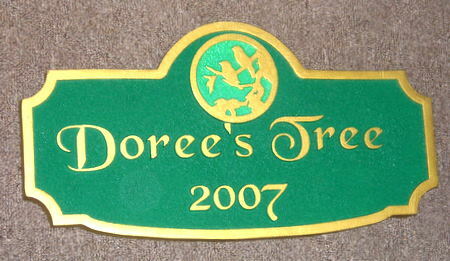 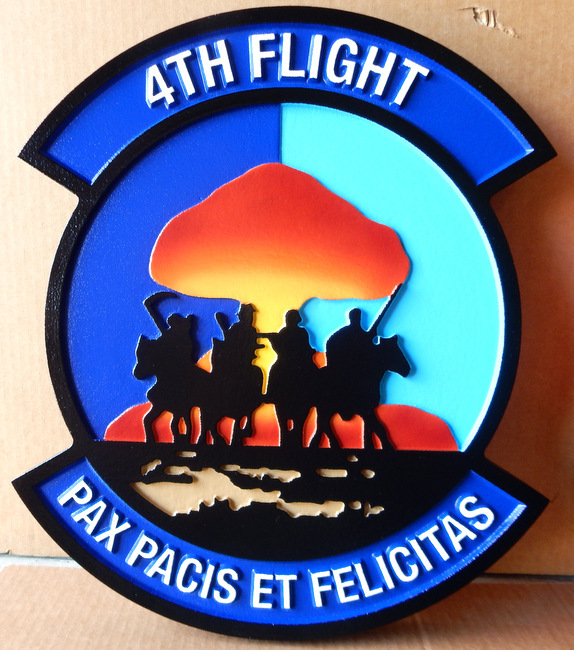 We show over 6000 different 2.5-D HDU sign & plaque designs in our 35 Application Photo Galleries. 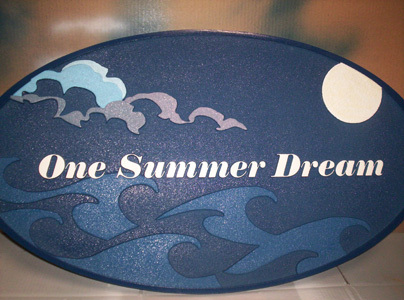 They are very popular and they meet the requirements of most clients. 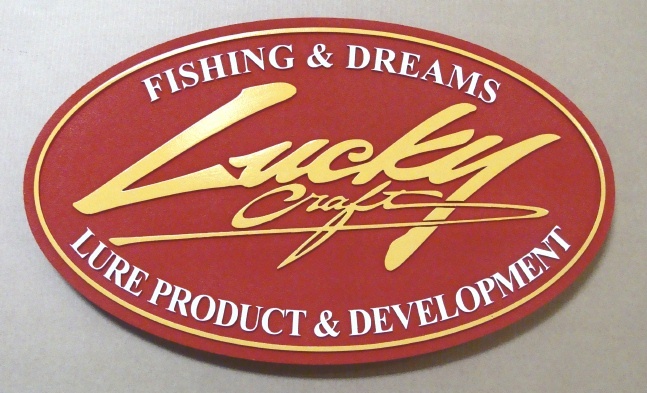 We also make 3-D carved HDU signs (Product Line 2), 2.5-D, 3-D and engraved wood signs (Product Line 3), and metal-coated HDU signs & plaques (Product Line 7). 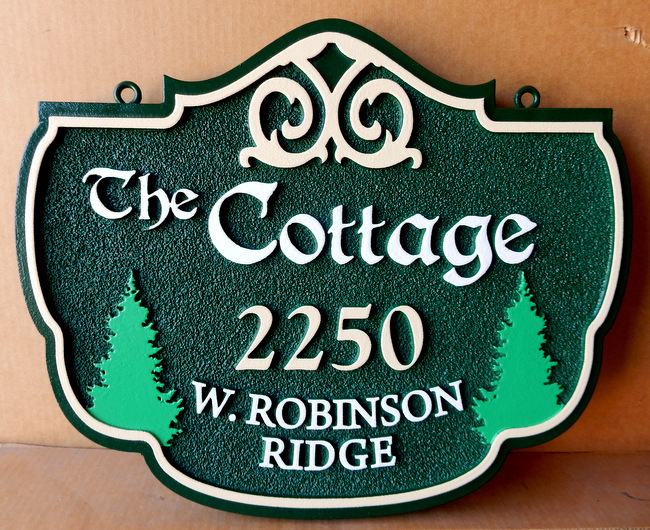 These are usually not required for most commercial and residential applications, but add beauty, class and interest to any sign or plaque. 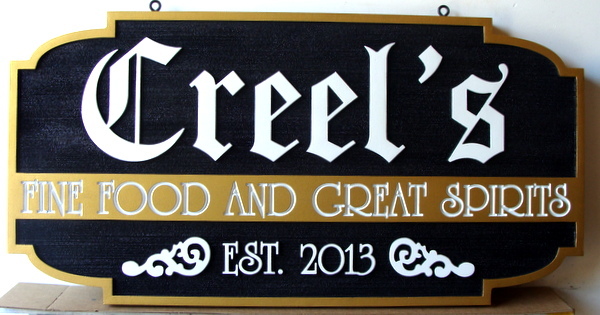 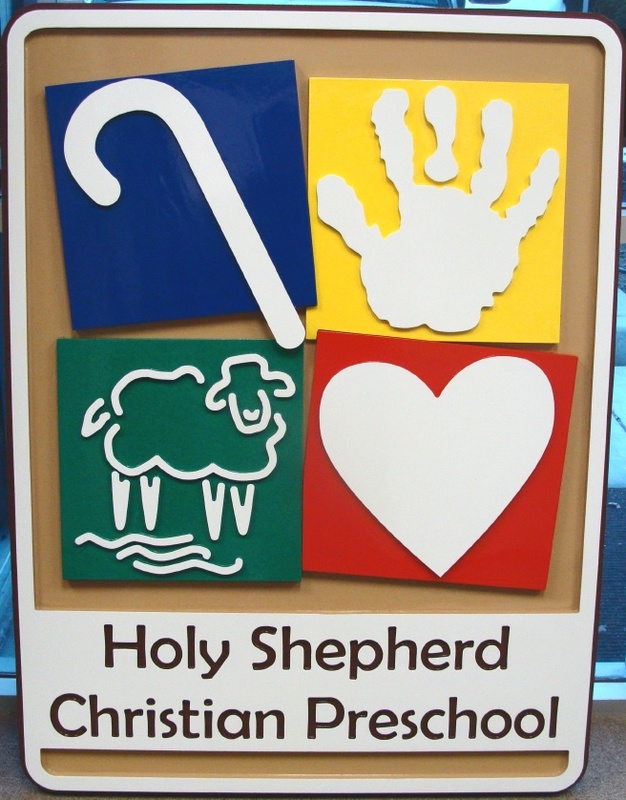 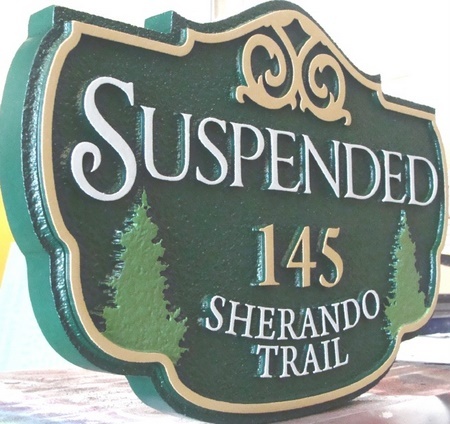 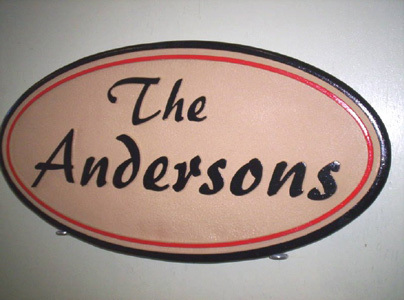 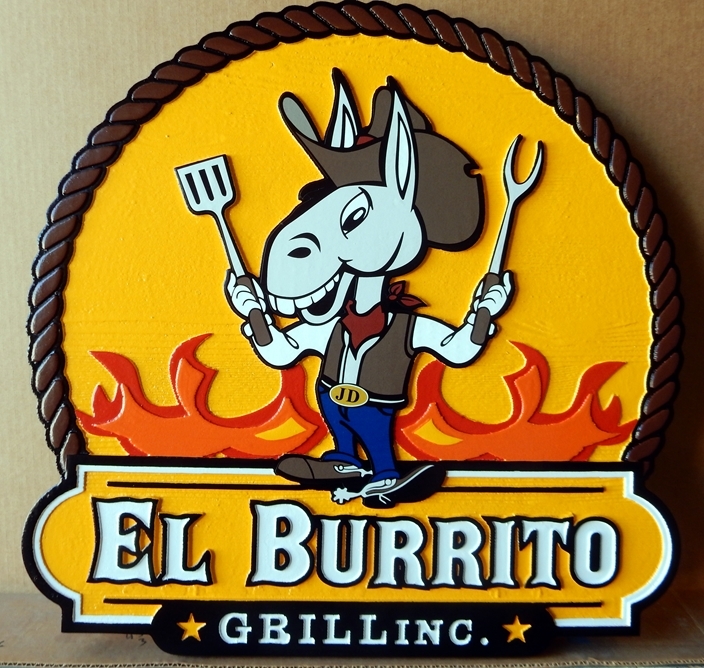 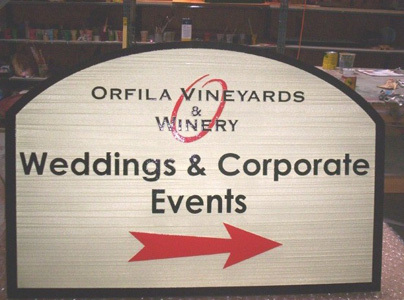 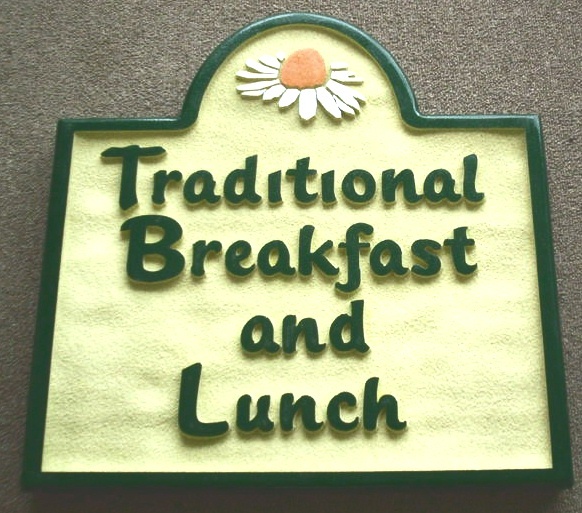 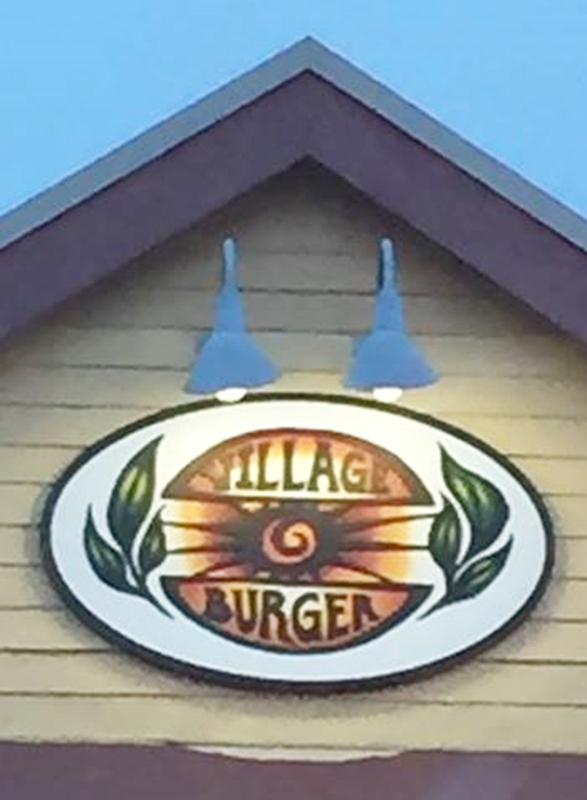 We also make flat non-dimensional signs from Color-Core HDPE, HDO/MDO, PVC, acrylic and aluminum (see Gallery 5), which are considerably lower in cost, but are less interesting and may not be as attractive as carved dimensional signs. 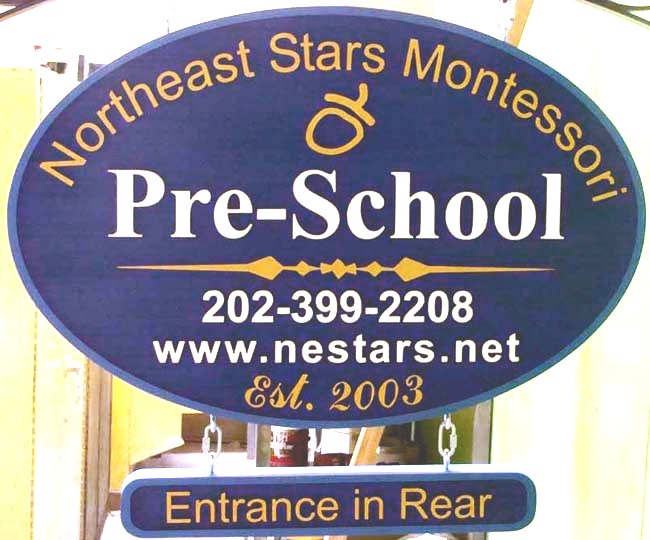 Some (but not HDPE and Aluminum) ) of these latter materials will not last as long, and may deteriorate after a few years, especially where there is moisture, and thus are most suitable for temporary or indoor signs. 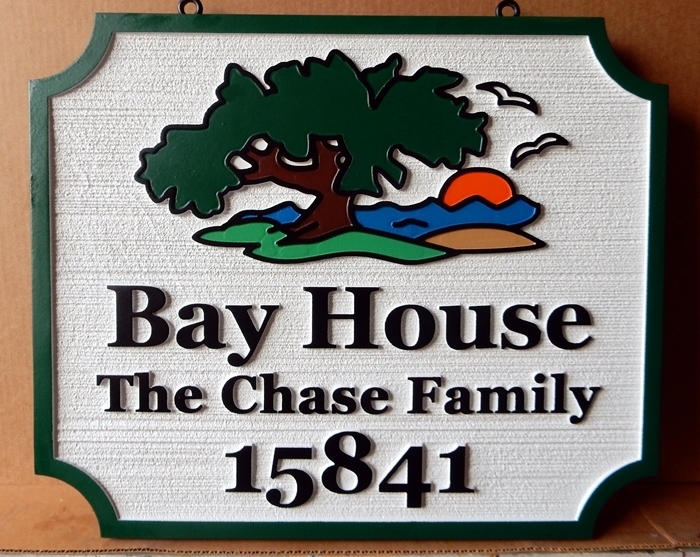 We also have 45 photo galleries of various application (e.g, farm signs, beach-house signs. 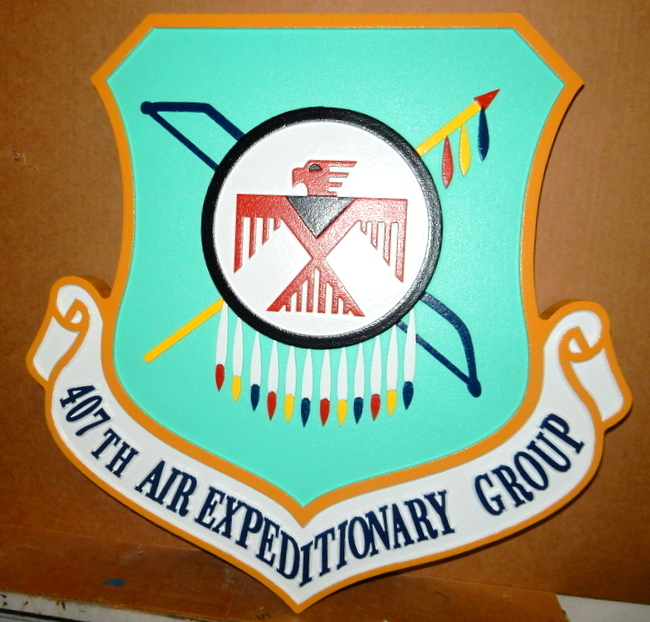 military signs, etc.) 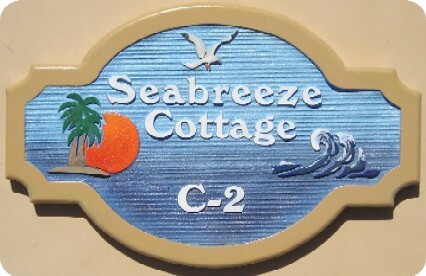 on this website, all of which contain 2.5-D signs & plaques. 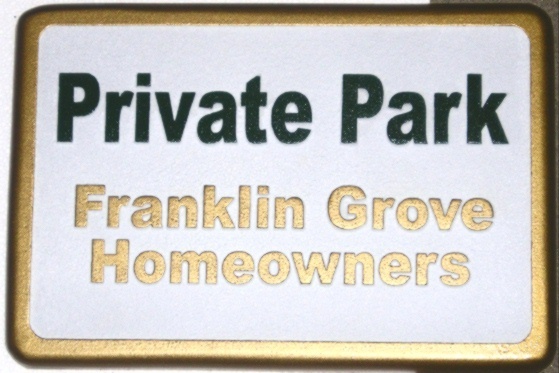 You can visit these by clicking on the numbered gray boxes in the lower left margin of this page. 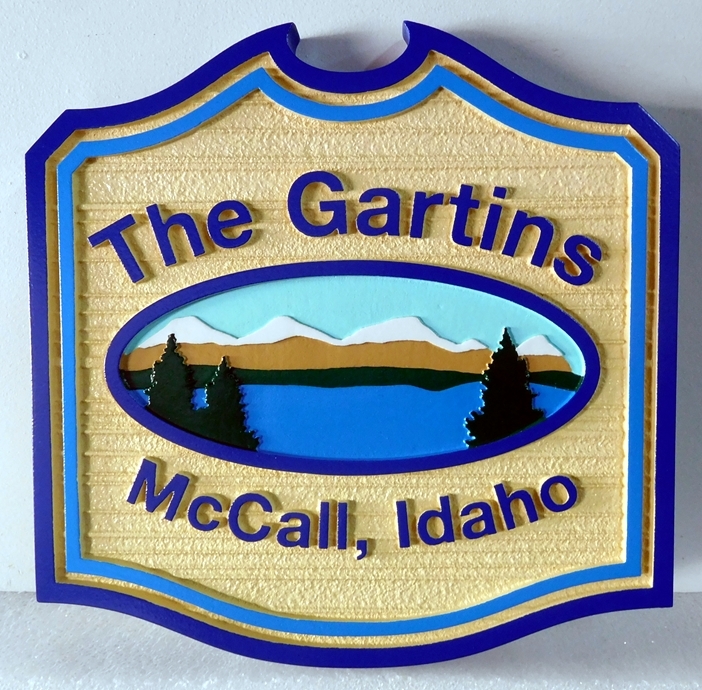 Above are a few examples of our hand-crafted 2.5-D dimensional signs & plaques in Product Line 1, as shown in Gallery 1 below. 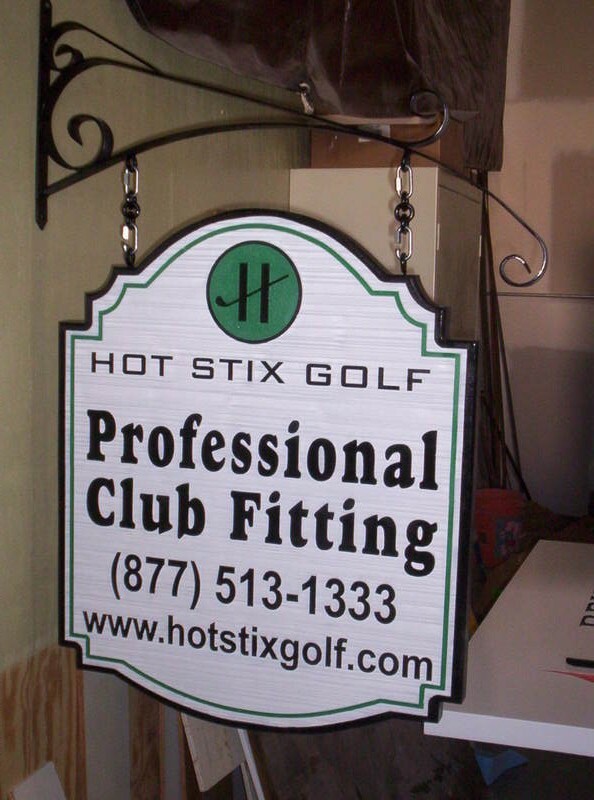 We have included 130 other examples in this photo Gallery, and there are over 5000 other examples shown in our Application Galleries 10 through 35 on this website. 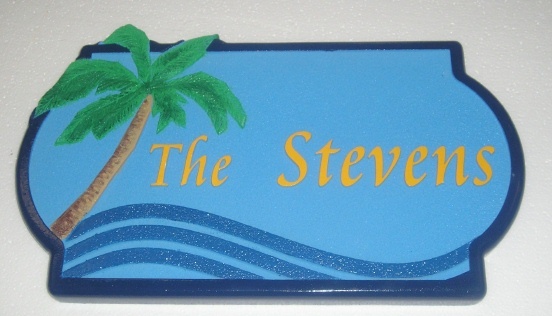 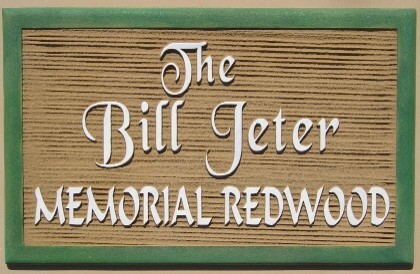 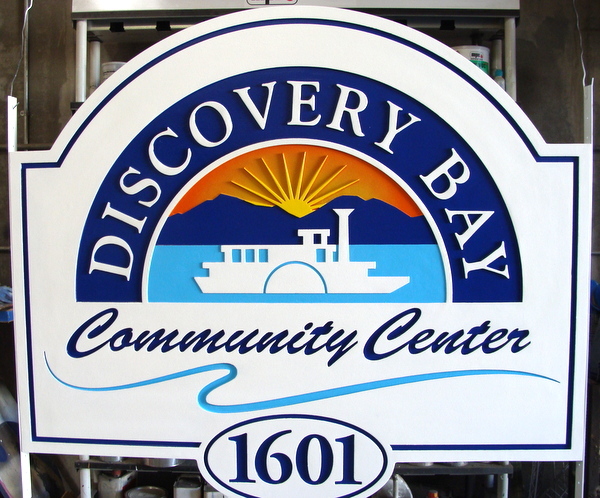 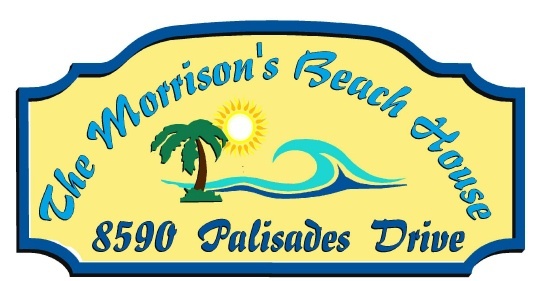 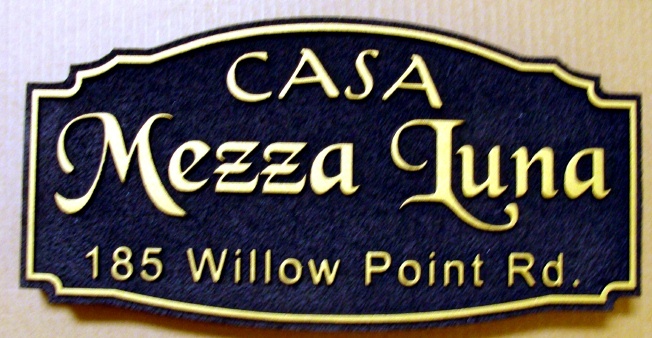 These type of signs can have sandblasted wood texture backgrounds , as in the " Jewel of the Isle" retail sign in the lower left or sandblasted sandstone texture backgrounds, as in "A Shore Thing" beach-house sign, upper middle, or a smooth background (no sandblasting) as in the "Discovery Bay" community center entrance sign. 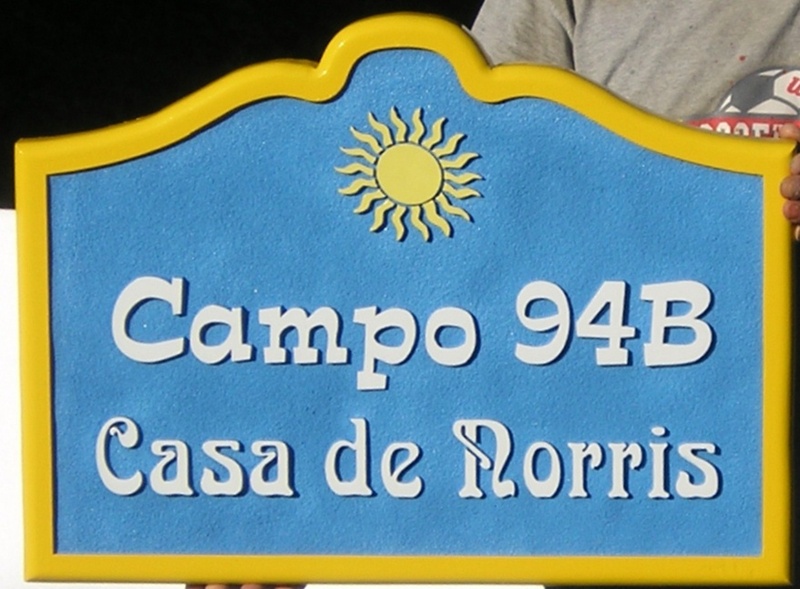 Text, borders, and art can be raised as in the "Porta Del Mar" coast residence sign or engraved as in the "American Society" wall plaque , upper left. 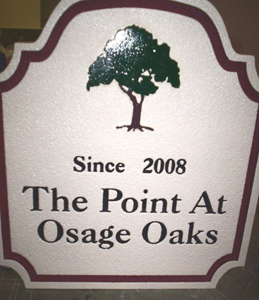 All our Product Line 1 signs & plaques have several levels (up to 6) of elevation relief to give a strong dimensional effect. 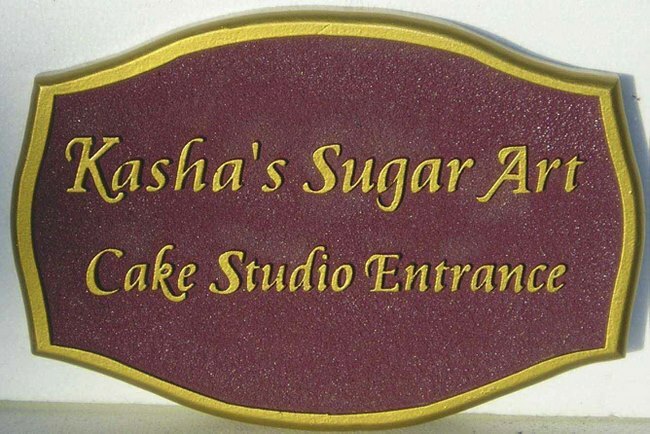 The custom signs and wall plaques in this photo Gallery 1 have styles that range from formal and elegant to commercial to rustic. 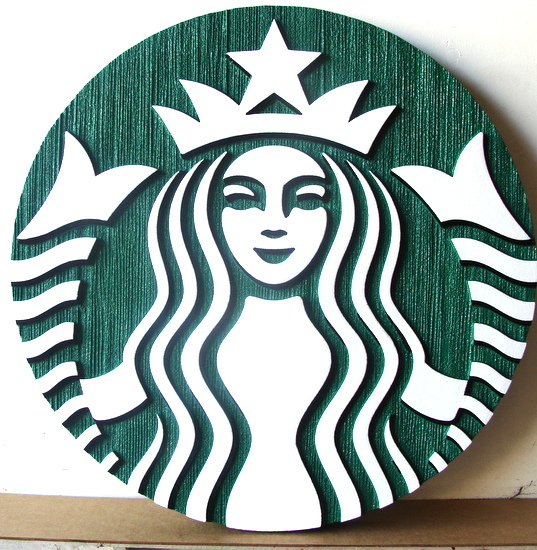 Many of our original and creative 2.5-D designs are true works of art. 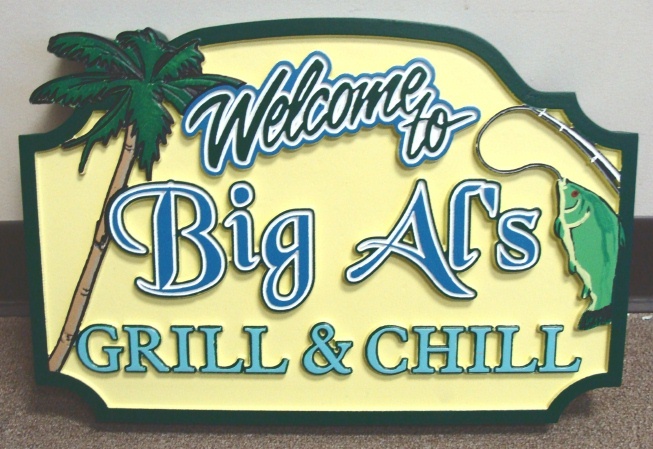 After all, we are "Art SignWorks". 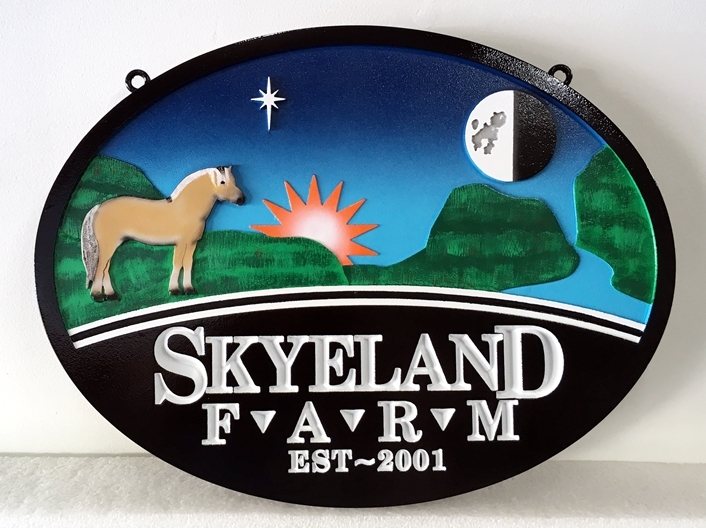 We can also incorporate your design concepts, including logos, seals, photos, paintings, and drawings into the design of your sign or plaque. 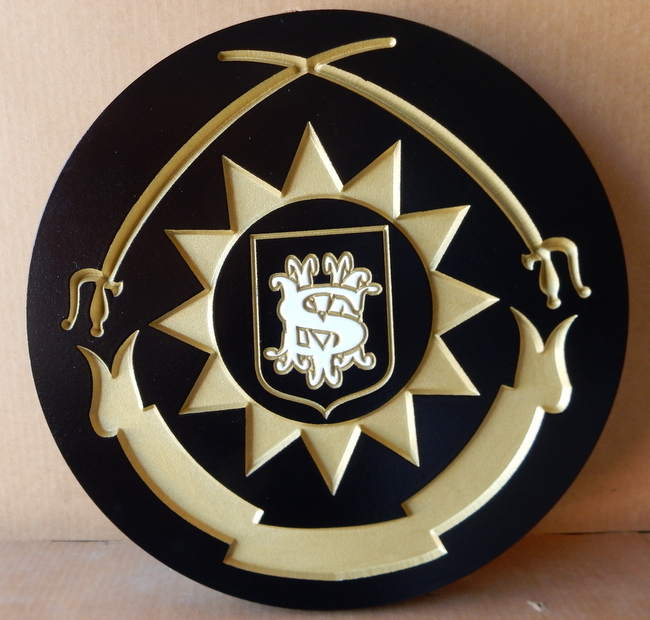 Most of our designs shown on this website are the result of a collaboration between our designers and the customer. 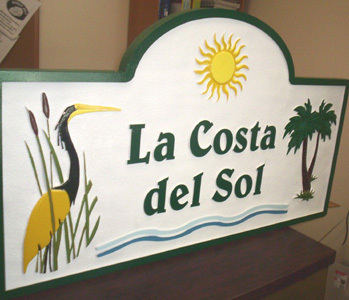 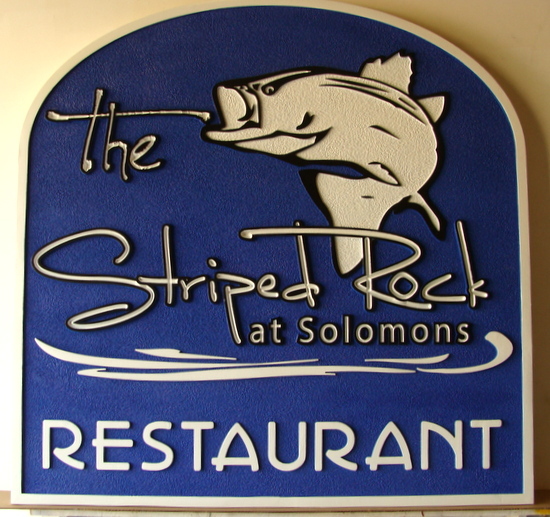 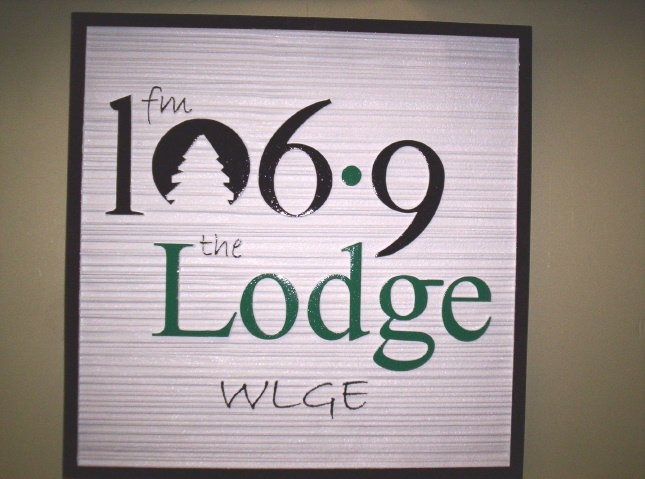 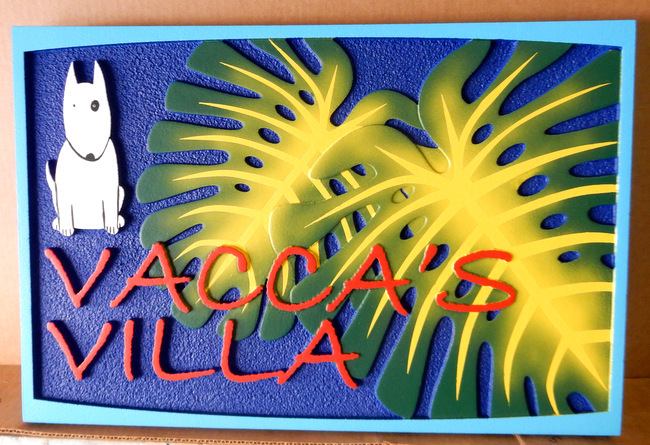 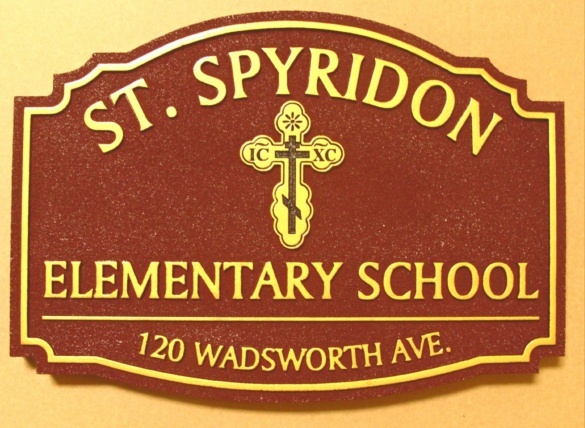 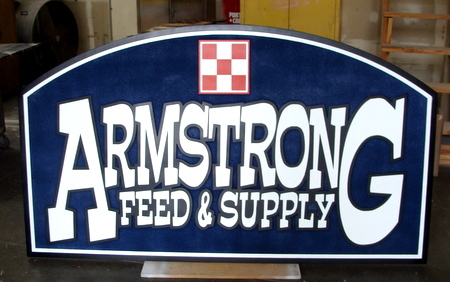 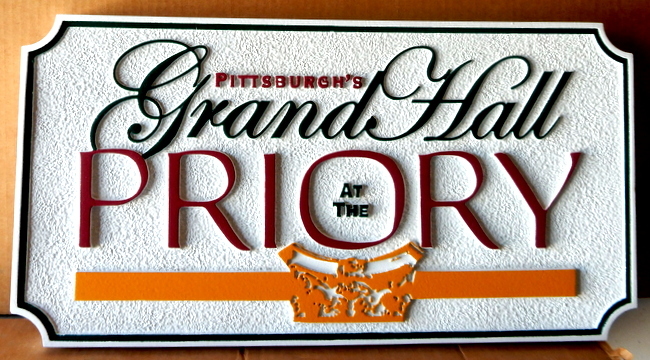 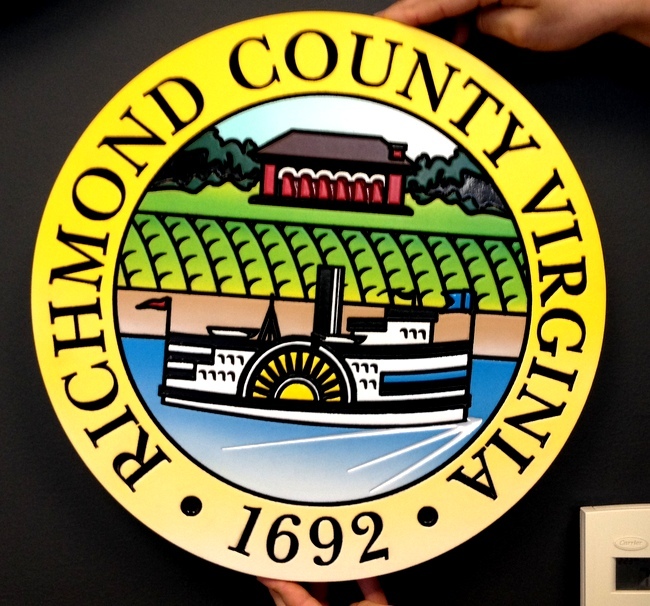 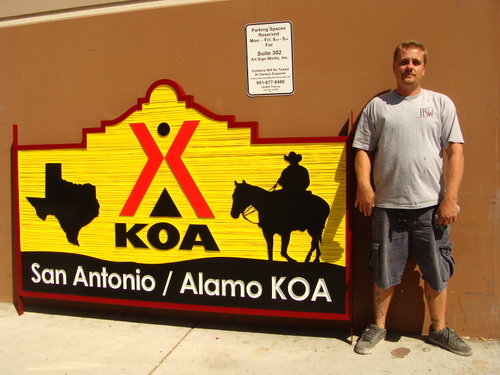 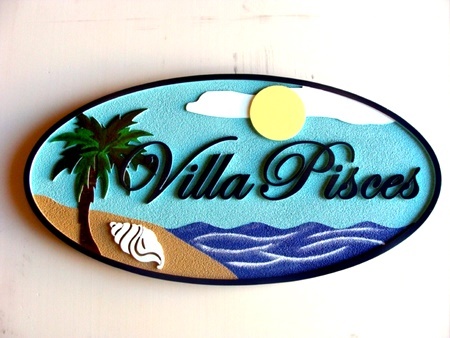 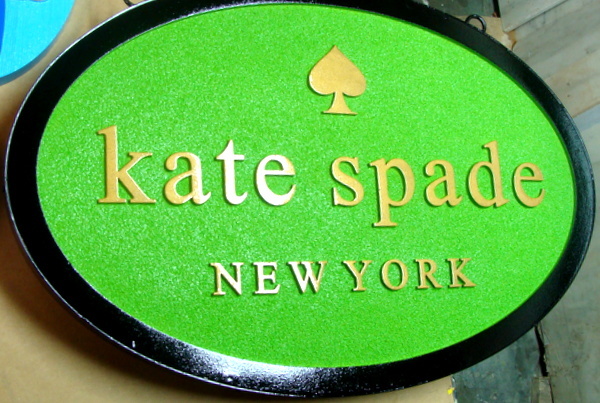 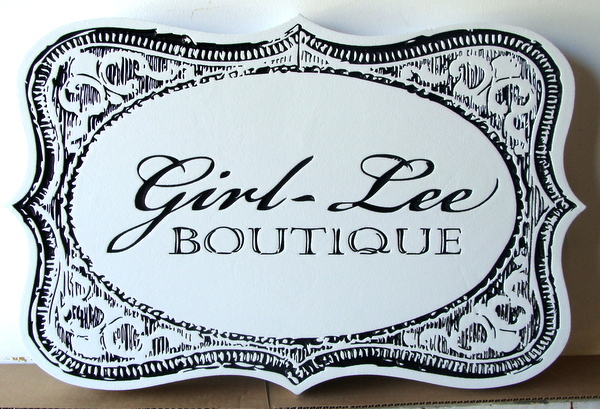 We can turn nearly any artwork into a beautiful and unique custom dimensional sign or plaque. 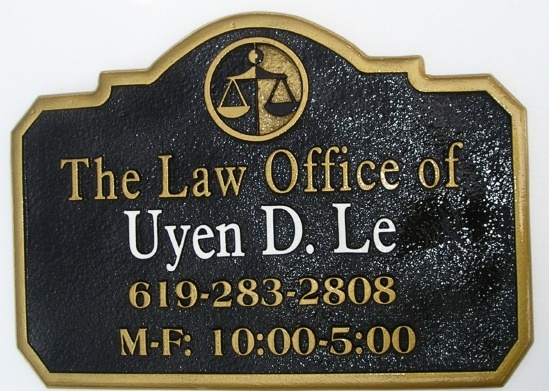 If you are looking for a specific application for a sign or plaque (e.g., lawyer, CPA, business, residence, vacation home, park, golf course, church, ranch, restaurant, pub, government seal, military crest, college, etc) you can click on one of our Application Galleries in the numbered gray boxes in the lower left margin. 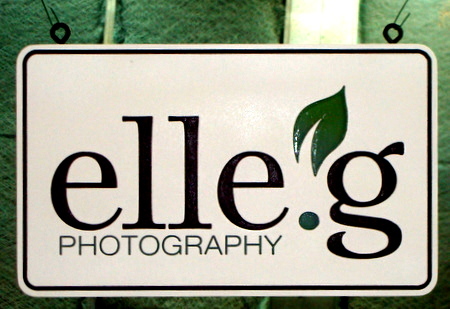 You can go to our Photo Gallery Overview page for a complete index of these applications. 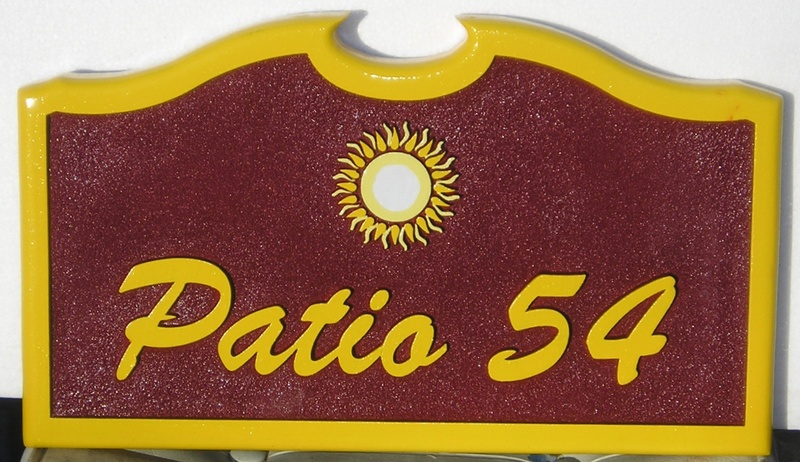 Our over 6000 2.5-D HDU signs are shown interspersed with types of signs & plaques (in Product Lines 2 through 7) in application Galleries from Gallery 10 to Gallery 35; only a small sample ( 2% ) of our 2.5-D signs are shown on this page. 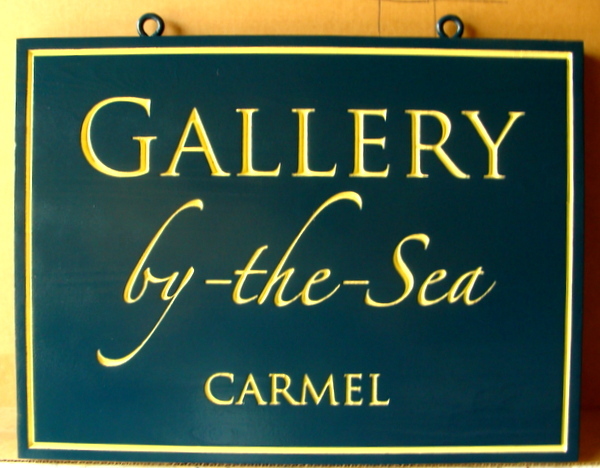 After the title on each photo, the Gallery where other similar signs for the same application (e.g., beach and seashore signs) are shown is listed in parentheses. 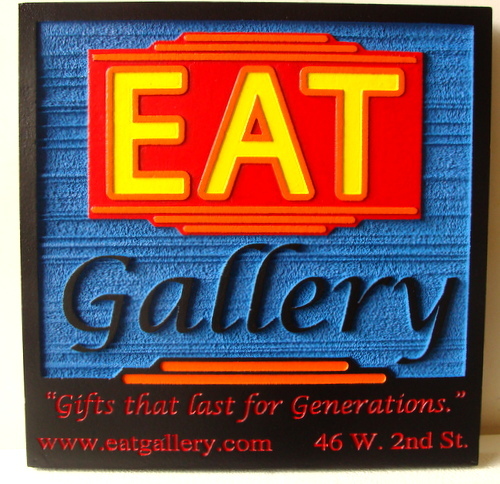 Please click on a numbered gray box in the lower left margin to visit an Application Gallery. 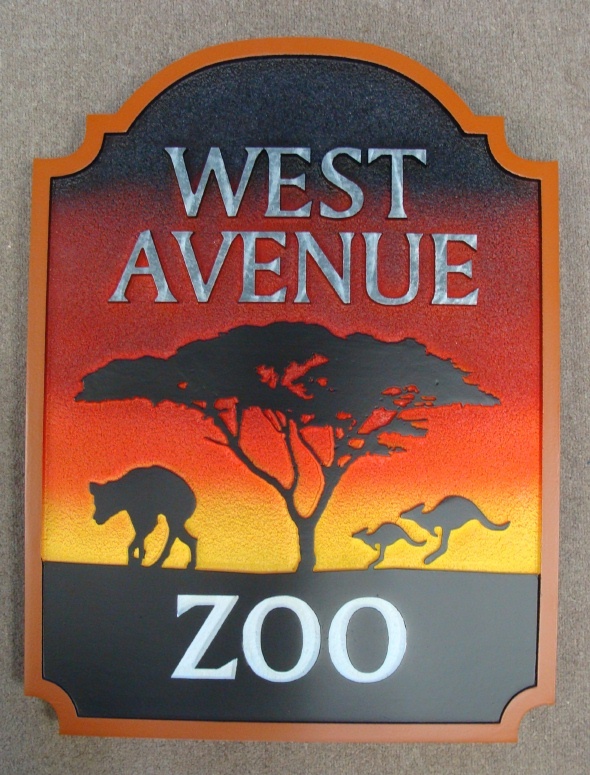 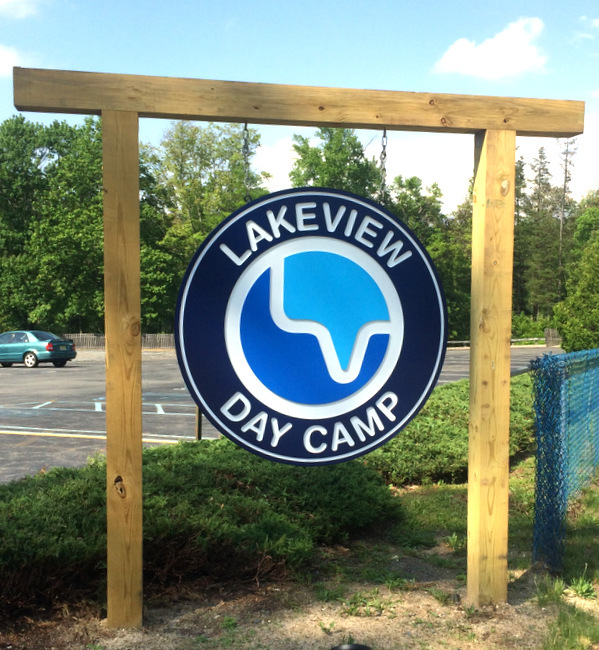 HIGHEST QUALITY - OUR HDU SIGNS ARE MADE OF THE FINEST MATERIALS, AND HAVE LONG LIFE AND MINIMAL MAINTENANCE. 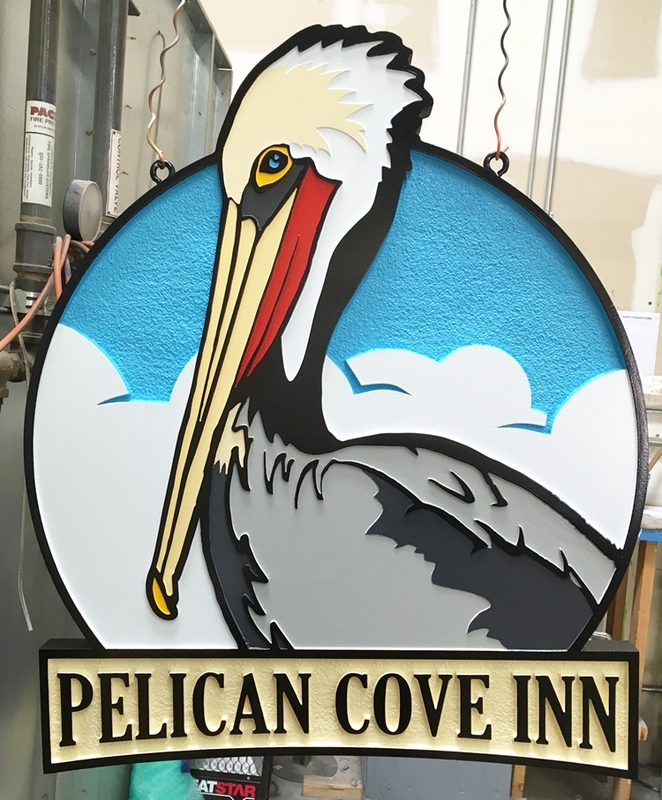 We use the very best materials and manufacturing processes to create signs which have a very long life (20+ years) and require very little maintenance. 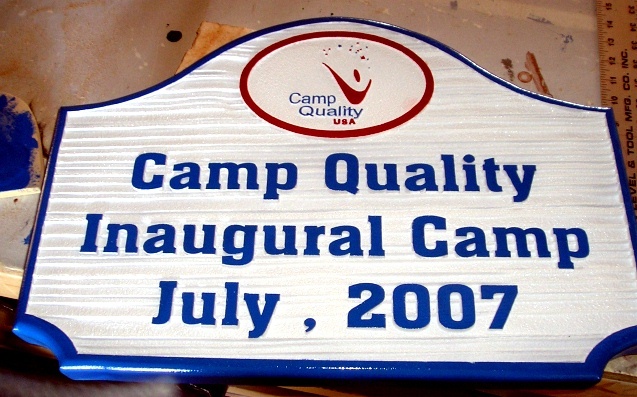 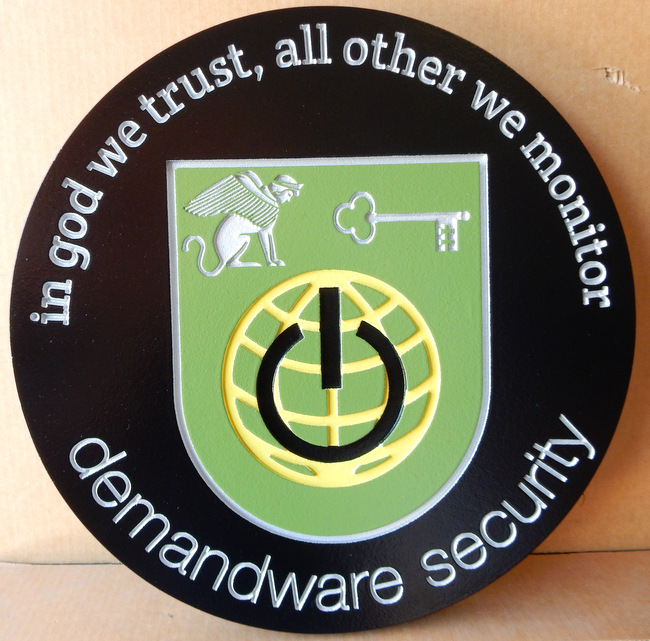 We provide a warranty of 2 years, and we expect our HDU signs to last for several decades. 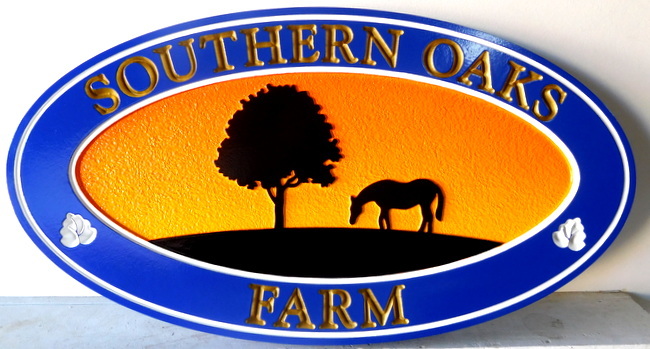 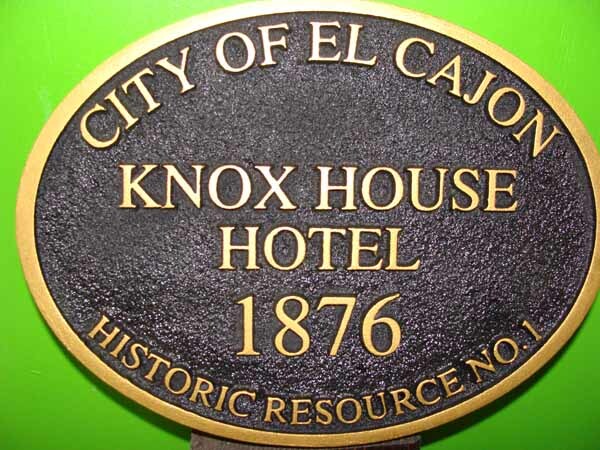 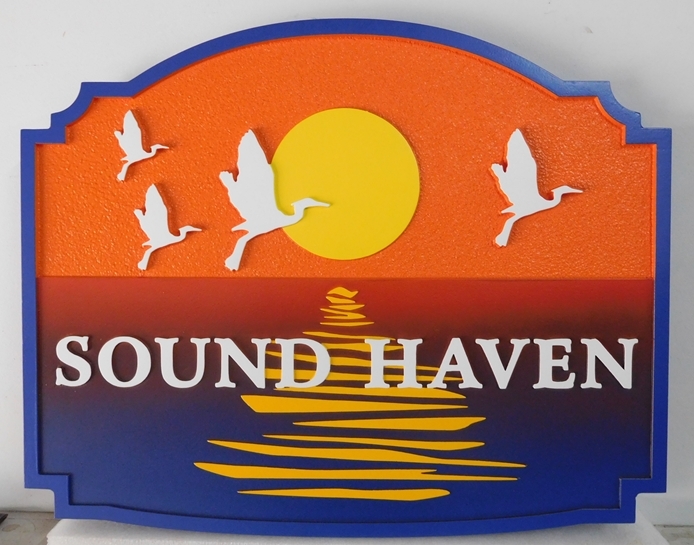 We carve our HDU signs and plaques out of premium ultra High-Density-Urethane (HDU) Precision Board Plus sheets made by Coastal Enterprises, in Orange, CA. 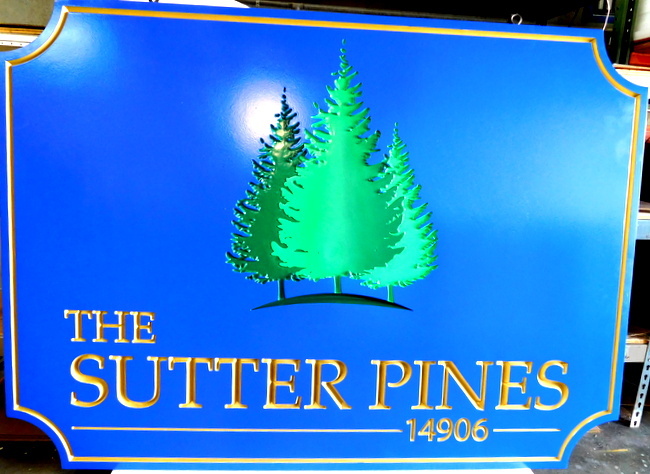 We use 20 lb/ft3 HDU for all our signs & plaques, which is 30% denser and stronger than the 15 lb/ft3 HDU used by other sign manufacturing companies. 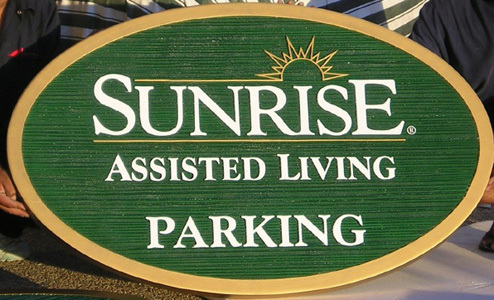 Our signs carve cleaner, last longer, and are less susceptible to impact damage than HDU signs made by other companies. 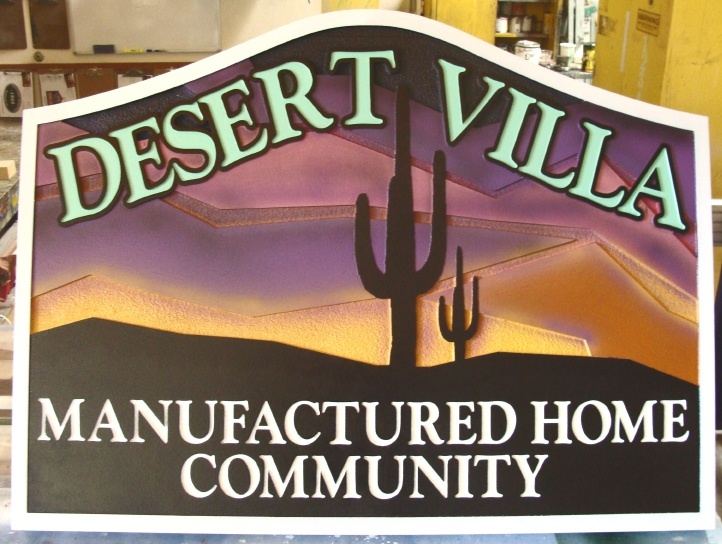 We use exclusively Ultra Low VOC Matthews automotive-type 2-part polyurethane acrylic paint and clear-coats, which are UV and graffitti resistance, so there is very little fading when the sign is exposed to direct sunlight, and graffiti can usually be cleaned off with acetone. 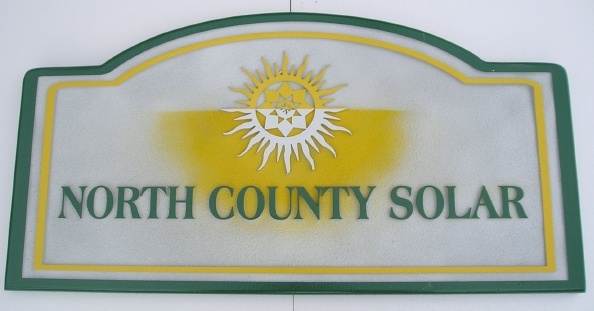 Matthews paints cost $200/gallon, compared to house paints which cost $30/gallon that most other sign companies use. 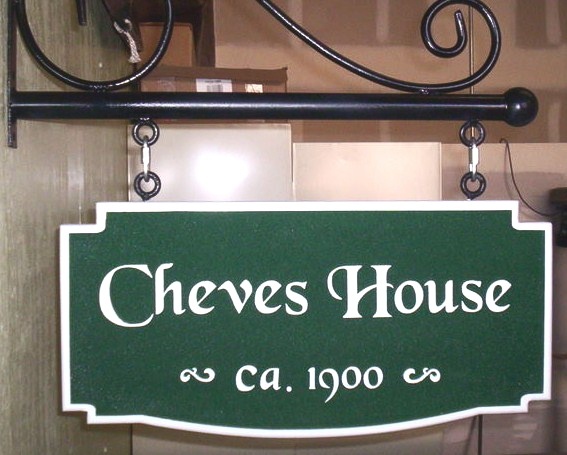 Matthews MAP will last 20 years or more before repainting.We use 1-Shot Low VOC Oil-Based High Gloss Lettering Enamels for text and artwork. 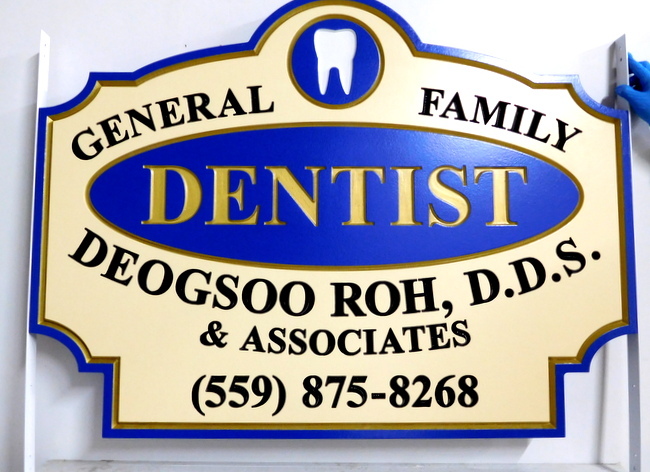 1Shot is simply the best (and most expensive) lettering enamel in the world. 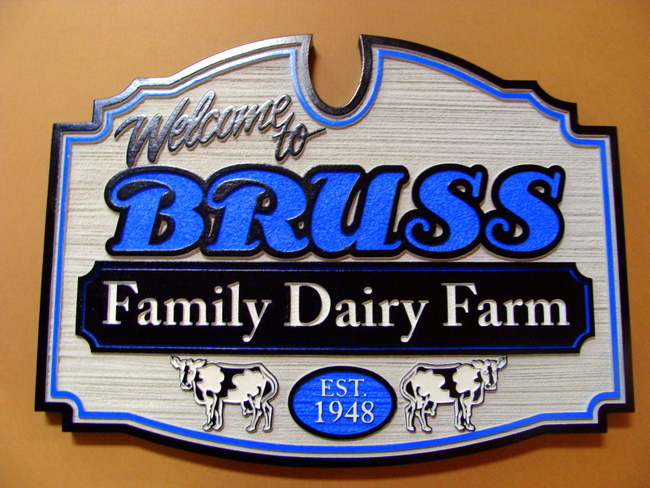 It costs $250/gallon. 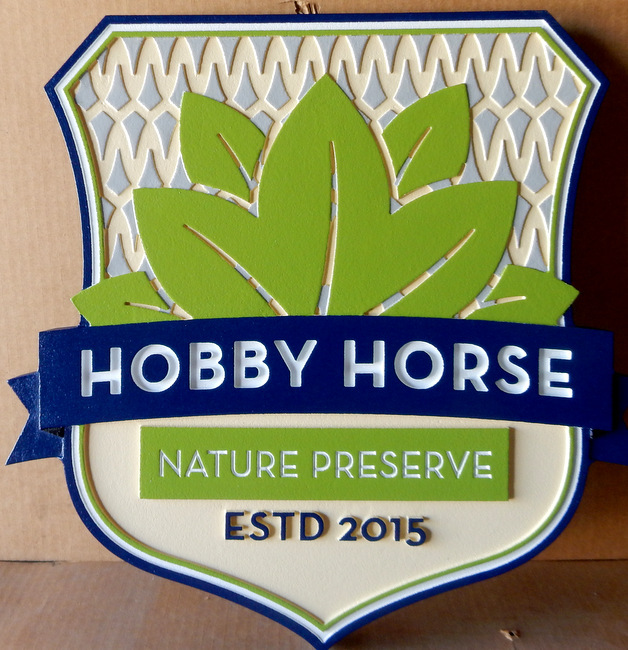 OUR PRODUCTS ARE ENVIRONMENTALLY FRIENDLY. 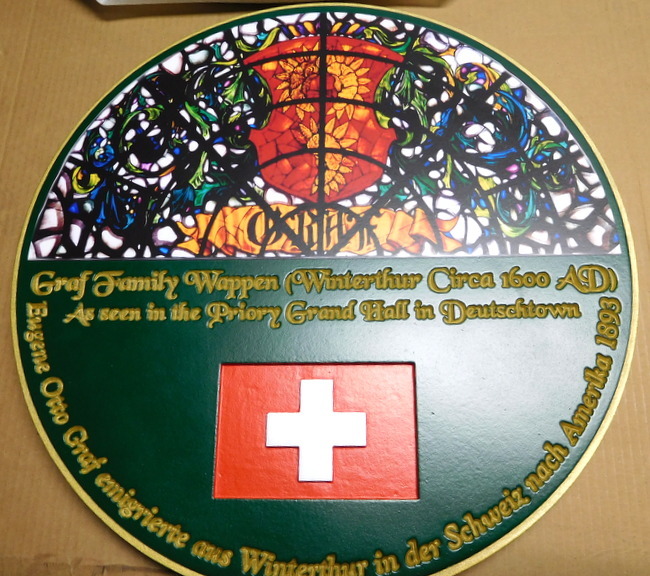 We are a "green" company. 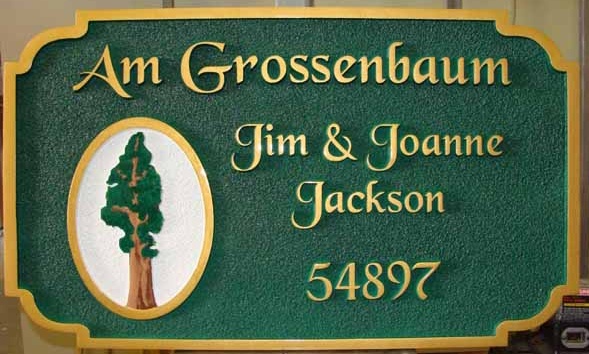 Our Precision Board Plus HDU is made out of special eco-friendly components, including state-of-the-art ‘green urethane’ formulations.The new Plus formulation has achieved a certified “Carbon Balance” of 3 to 1 and a “Rapidly Renewable resource Content” of 23.9%. 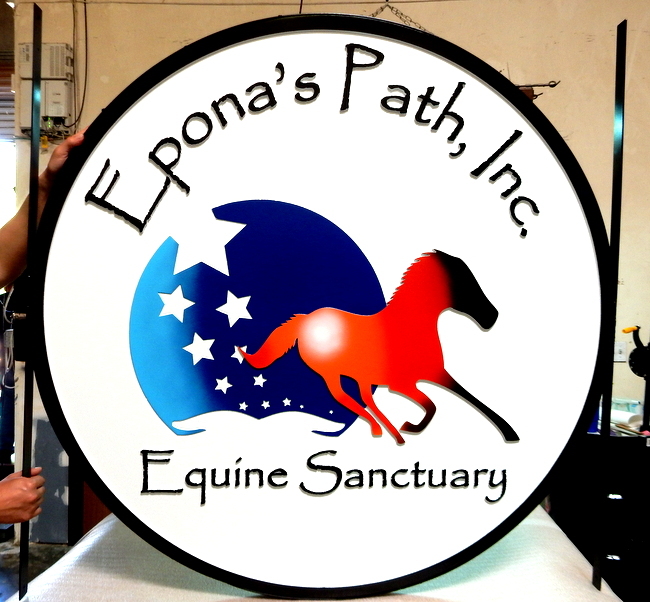 We use environmentally friendly primers, topcoats and clear-coats. 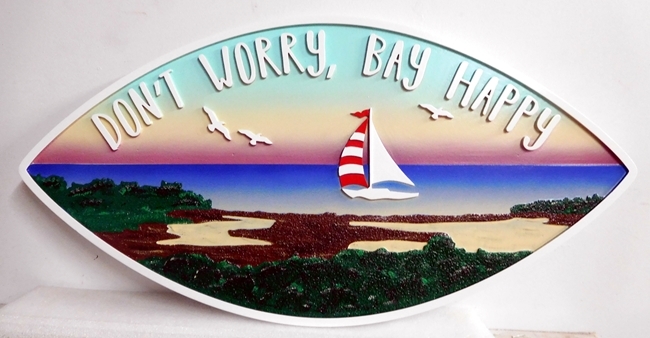 Matthews Ultra Low VOC polyurethane acrylic paints and clear-coats limit VOC to less than 50 g/L while providing greater durability, gloss retention and hiding than standard acrylic polyurethane paints provide.We also use a Low VOC version of 1-Shot sign enamel for painting text, borders and artwork. 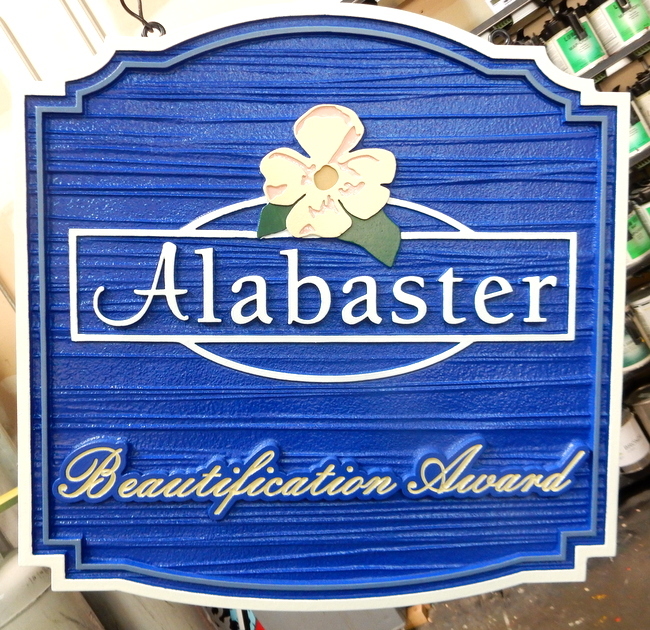 All our manufacturing and painting processes are Green, with minimal air pollution, because we our dust collectors, paint spray booths, and fully-enclosed and recyclable sandblast booths cause extremely little air pollution and carbon emissions. 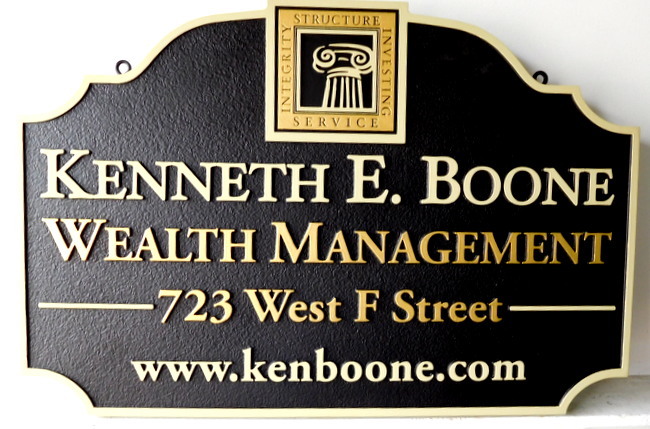 PLEASE CONTACT US - WE HAVE GREAT CUSTOMER SERVICE. 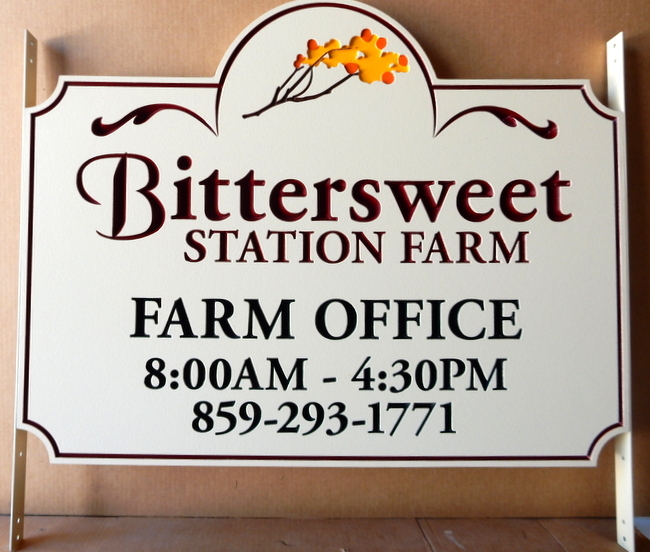 Please call or email us for a price quote on a specific sign or plaque. 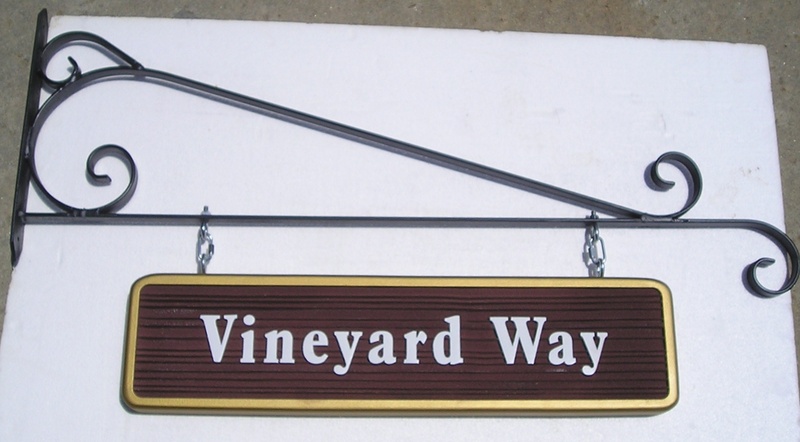 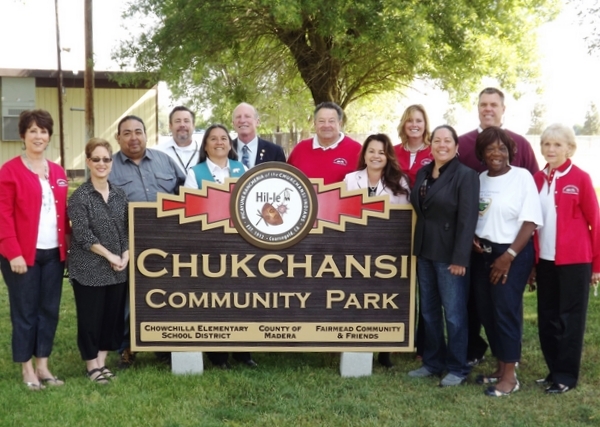 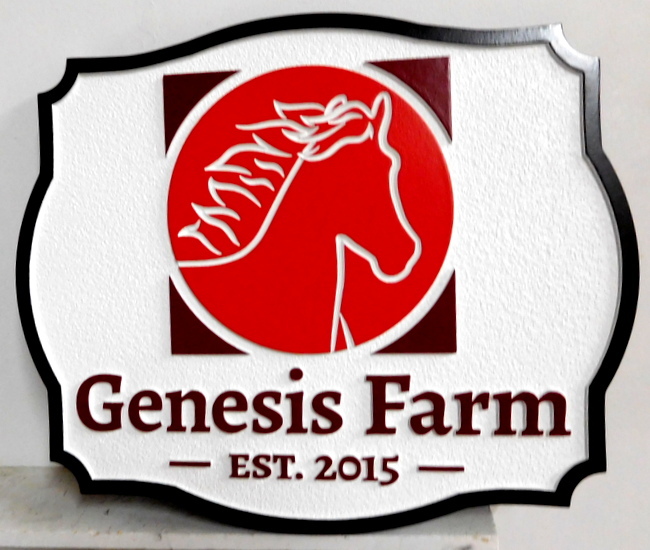 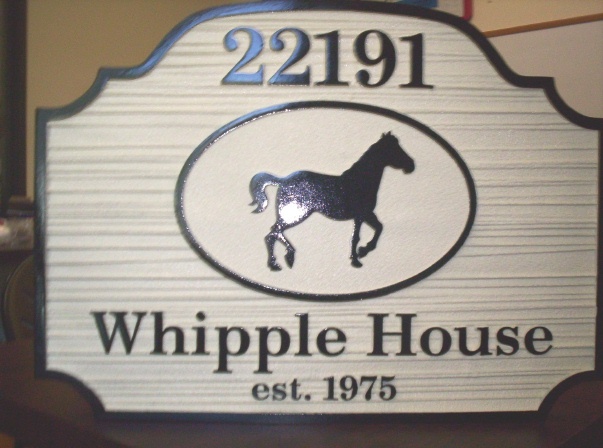 We will work with you to design and build the exact sign or plaque you want. 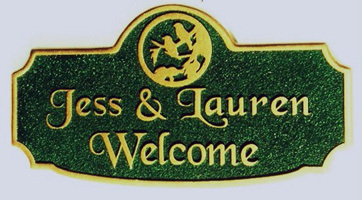 Our knowledgeable and helpful Customer Service Representatives, Christie and Regina, will respond to your request promptly. 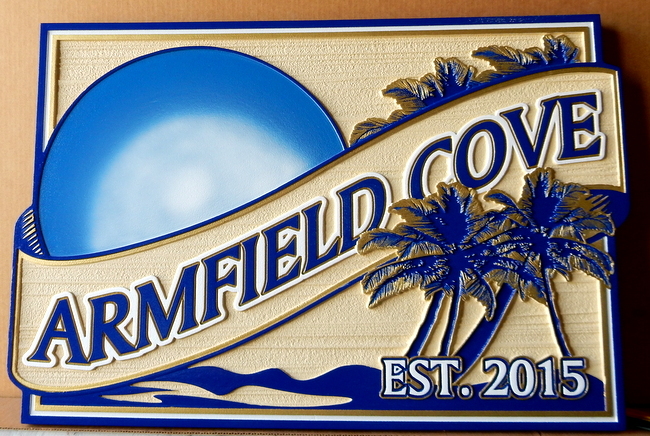 Call us at 951-698-8484 or email us at info@artsignworks.com. 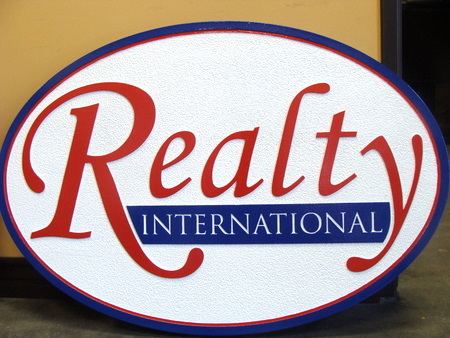 Or, you can fill out and submit our on-line Request an Estimate Form. 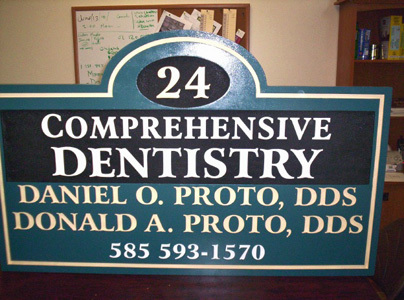 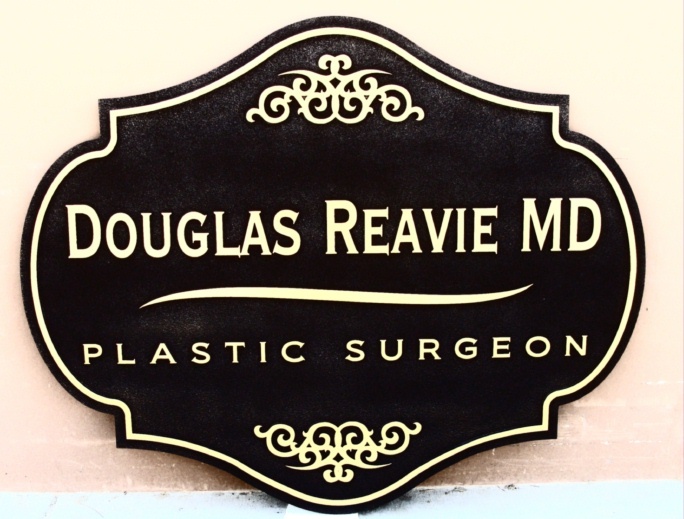 We would like very much to make your sign or plaque, and we are confident that you will be pleased with it. 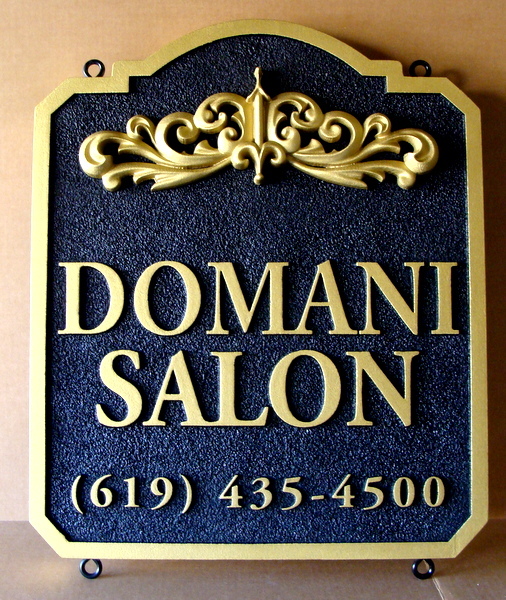 We take great pride in every sign or plaque we make for our valued clients. 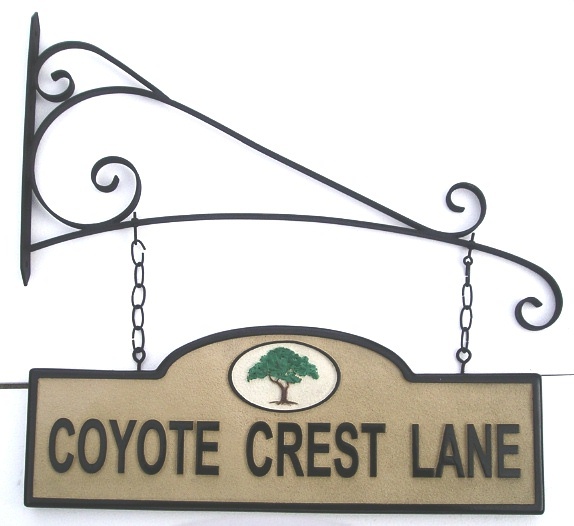 HOW TO NAVIGATE THIS SITE. 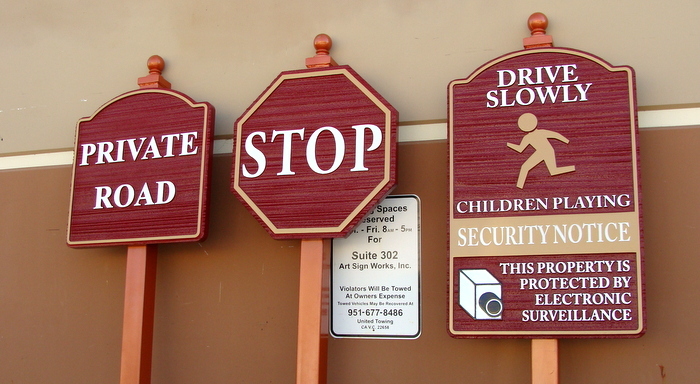 You can scroll down the page to see more sign designs by using the slider in the right edge of this page. 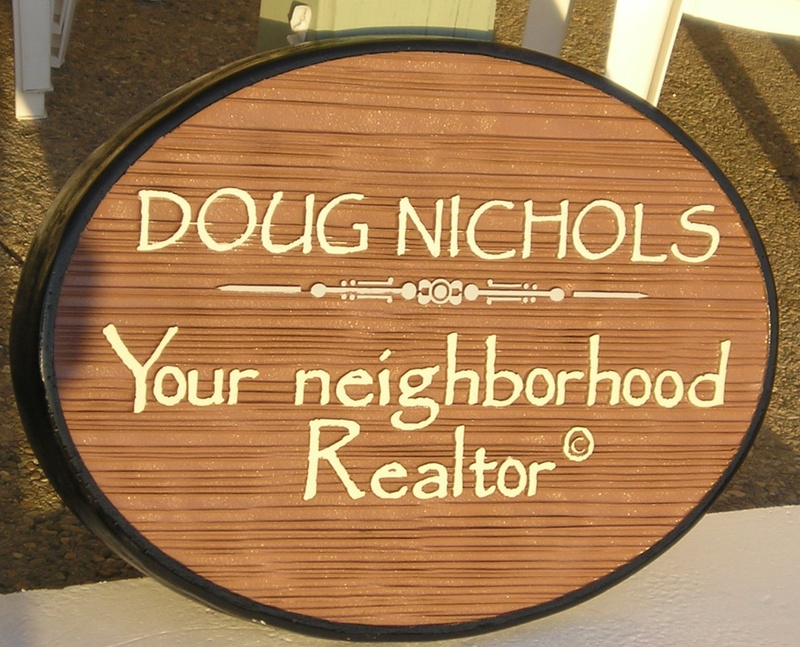 You can expand a photo and get information on the sign by clicking on the photo. 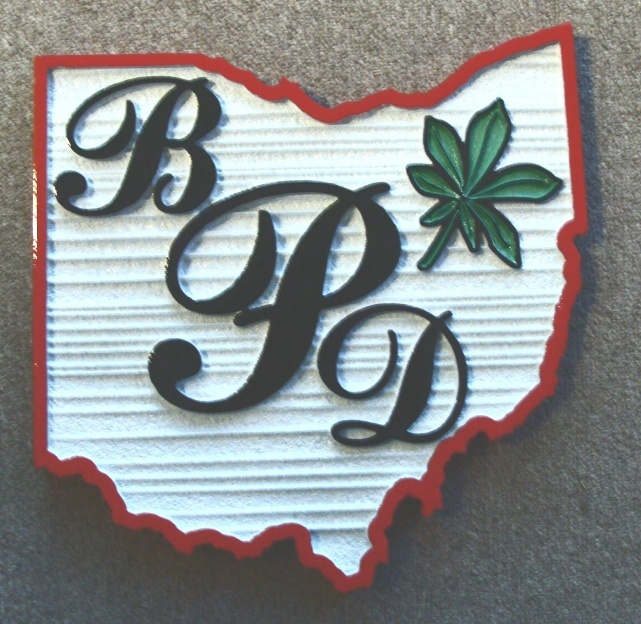 After you expand a photo, to return to this Gallery page, click on "Return to List" at the bottom right of the sign or text..Other photo Galleries can be viewed by clicking on a numbered gray box in the lower left margin. 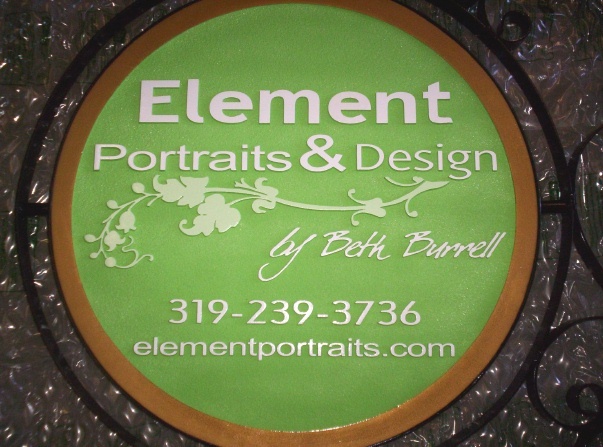 Business web pages (e,g, prices & design options, request a quote, place an order ) can be viewed by clicking on a gray box in the upper left margin. 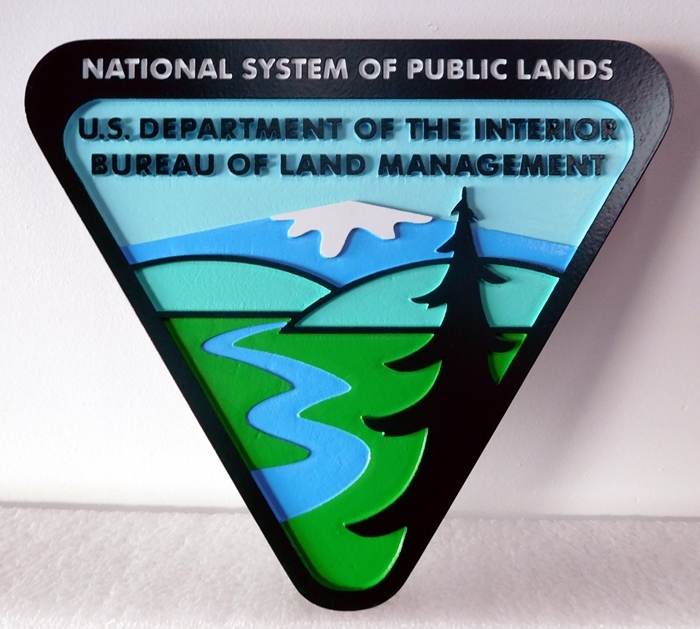 Other informational web pages, including our Home Page, can be visited by clicking on dark gray tabs at the top of the page in the header. 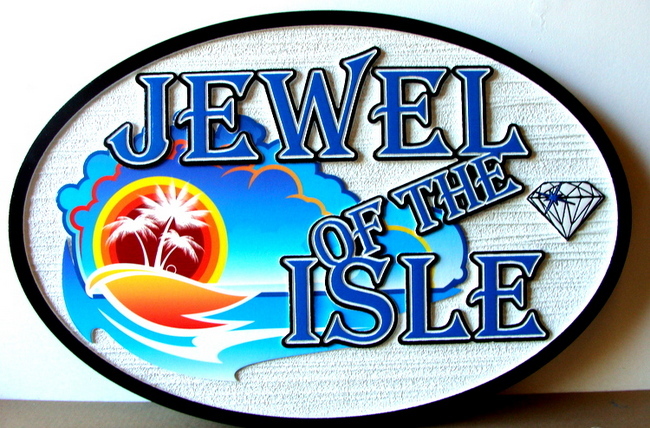 M1143 -Jewelry Retail Store Sign in Hawaii, with Palm Trees, Ocean and Diamond (Galleries 28A and 21). 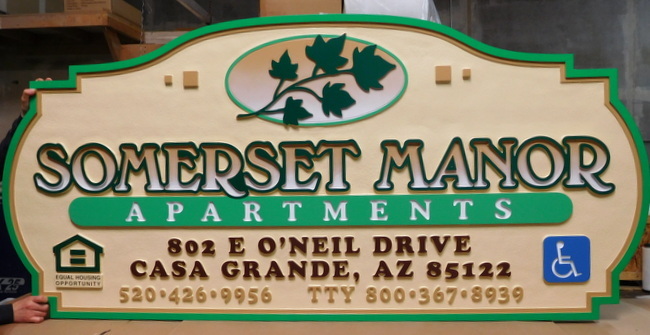 M1644 Large Carved Entrance Sign for "Somerset Manor Apartments". 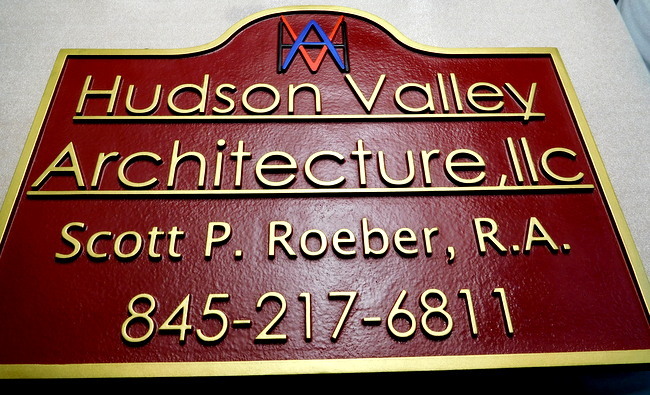 wiith Maple Leaf Branch (Gallery 19)"
M1648 - Entrance Sign for an Arcitectural Firm (Galleries 28 and 28A). 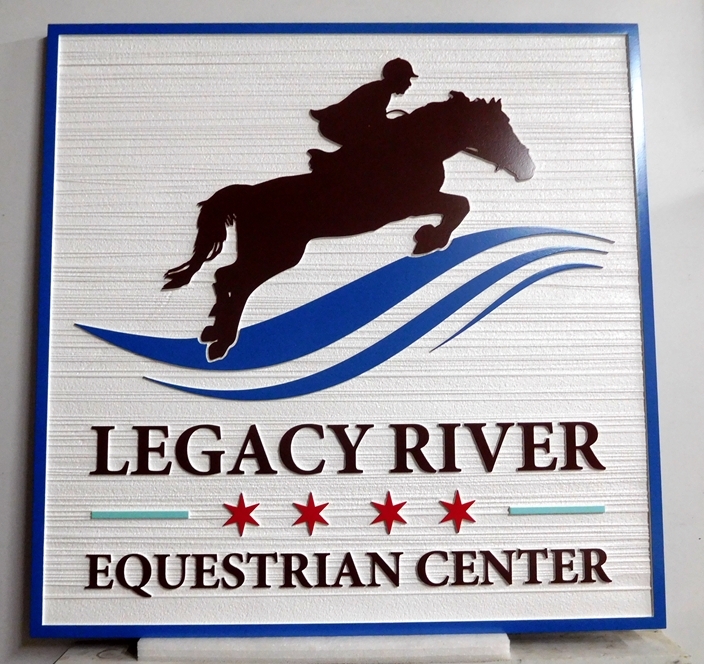 We offer a wide variety of sign shapes, sizes, font styles, and art icons for our completely custom dimensional HDU signs and plaques. 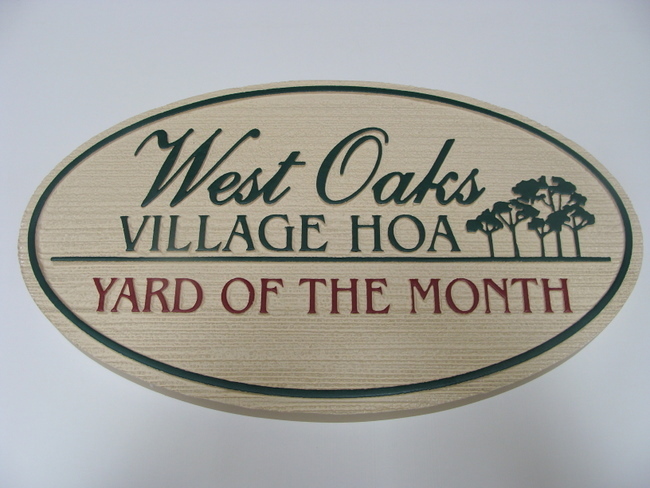 They are weather and moisture proof, and will outlast a wood sign by a factor of two or three, requiring very little maintenance. 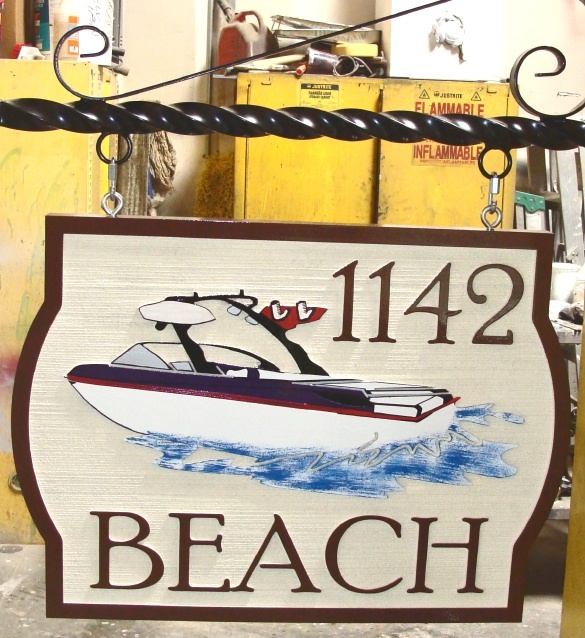 We perform multi-level sandblasting and CNC routing for the same price as single-level. 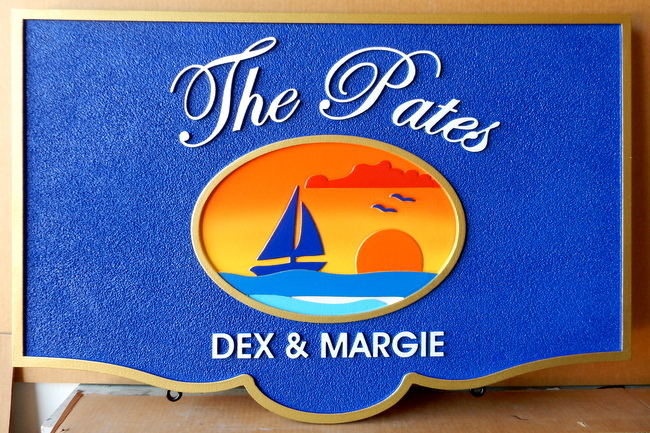 Letters and art can be raised and/or engraved(carved into the HDU) with backgrounds smooth, sandstone texture or a wood grain texture. 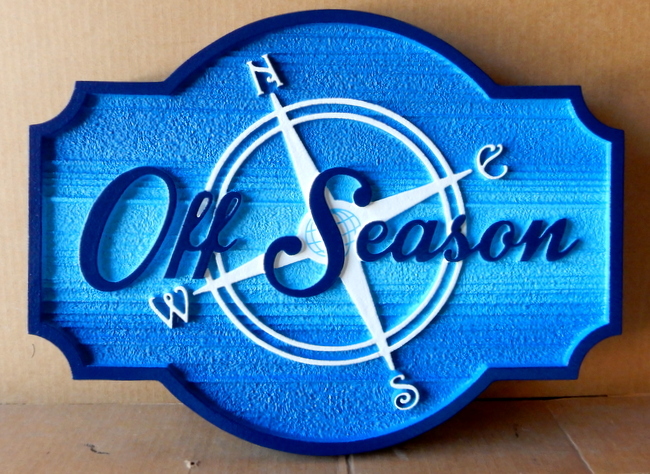 We use our CNC router for some features of the sign. 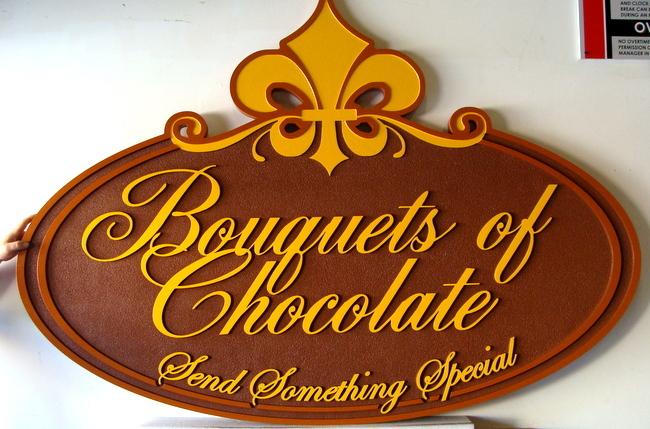 They can have rounded edges, multiple borders, one or more art pieces including flourishes, and multiple lines of text in the font styles of your choice, at the same low price. 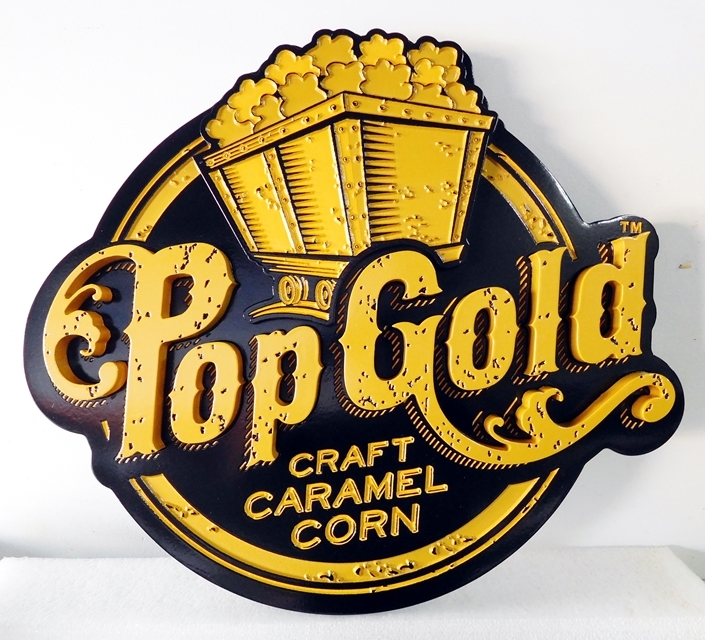 These are only some of the examples out of many thousands of possible design (colors, font styles, artwork) combinations. 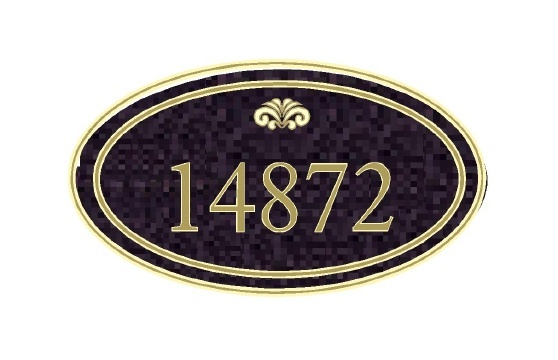 Refer to ID number (e.g. 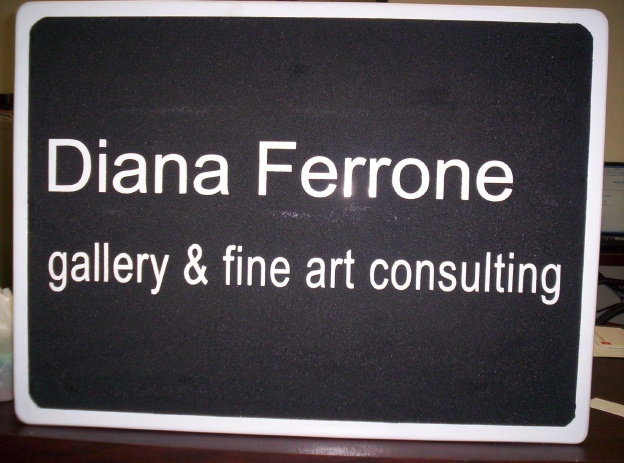 M1421) if you want your sign to be similar to one or more signs shown in the galleries.